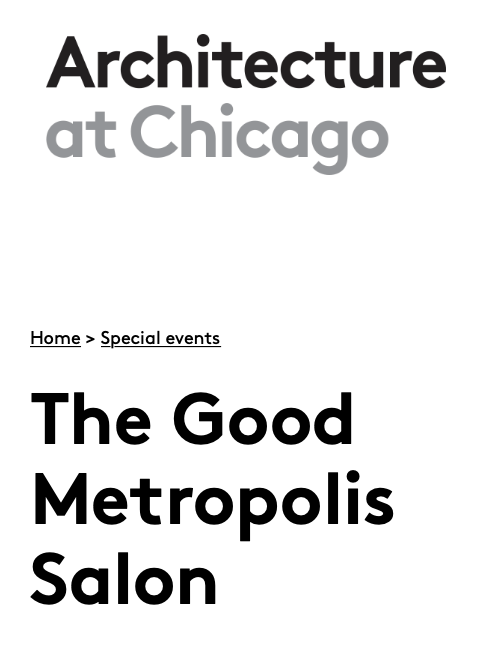 Join The Good Metropolis Salon, a book launch and conversation on the productive tension between the city and architectural form, at UIC Architecture, South Lobby, A+D Studios, April 30, 6pm. 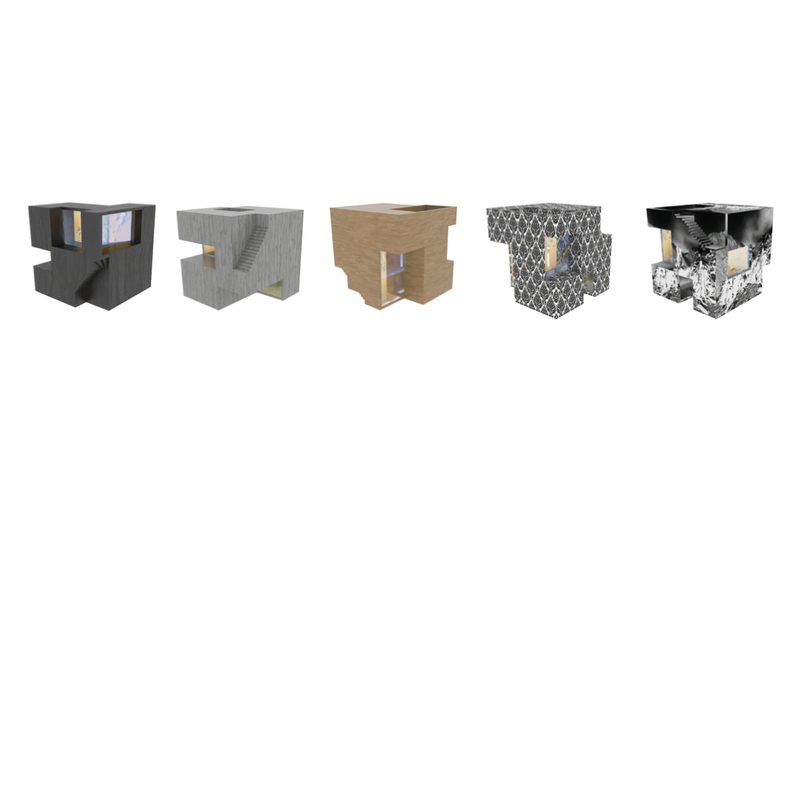 Jury at SAIC Public Critiques Event for the programs of Architecture, Interior Architecture, Designed Objects, and Design for Emerging Technologies, May 11, 2019, 8:30am-4:30pm. 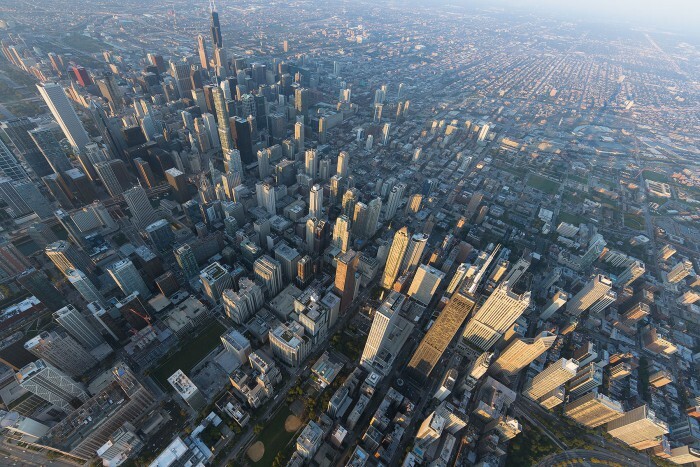 “Urban Optics and the Specter of a Beautiful Metropolis (II)” Public Lecture at the School of Literatures, Cultural Studies, and Linguistics, University of Illinois at Chicago, April 15, 2019. 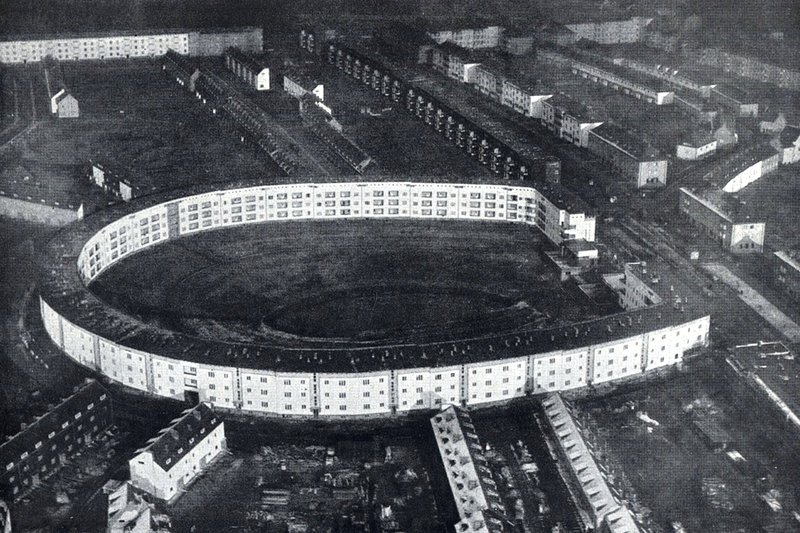 Lecture on the “Urban Optics and the Specter of a Beautiful Metropolis (I)” at the Bauhaus Beyond Borders conference at Northwestern University, Chicago, April 5-7, 2019. Radio Interview at Buildings on Air, # 25, live on WLPN/Lumpen Radio (February 2, 2019). 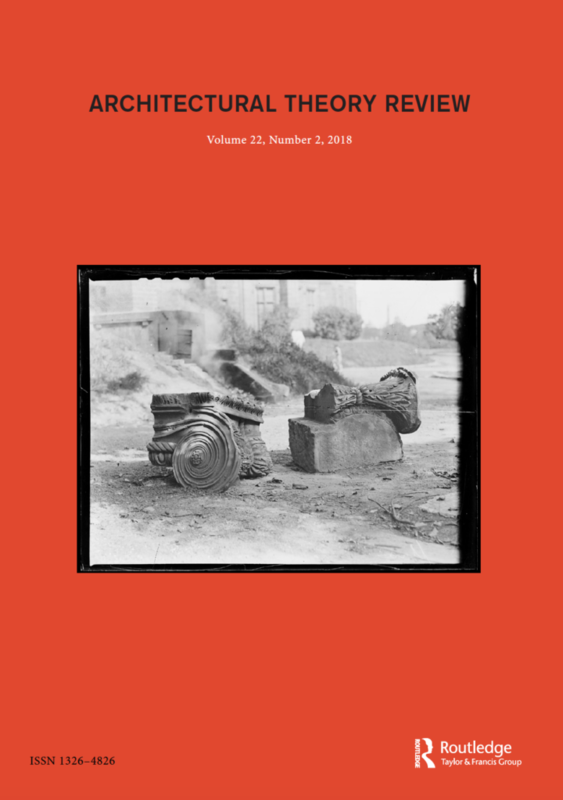 “The Story of an Intersection, or How Early Chicago Became an Urban Laboratory,” Architectural Theory Review, 2018, vol. 22, #2, pp. 1-16. Moderating panel at the Entangled Urbanism symposium at Northwestern University, Evanston, May 17-18, 2018. 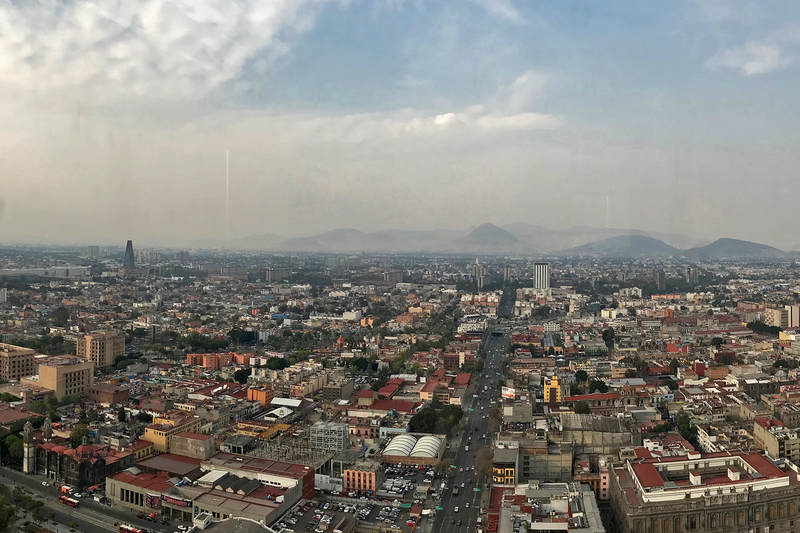 UIC News published article on Mexico City Research Studio. Recipient of the 2018 UIC Teaching Recognition Award. 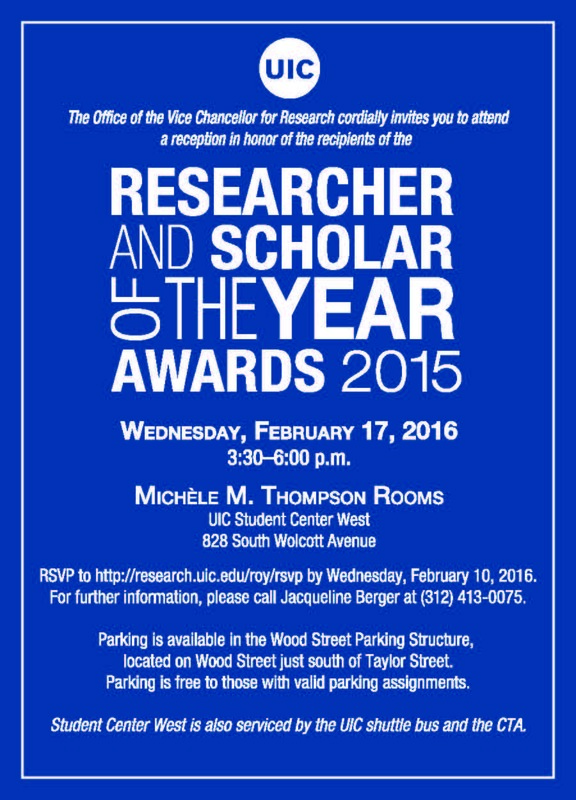 Thanks to the faculty award committee, the Office of the Provost, and the Vice Chancellor for Academic Affairs. 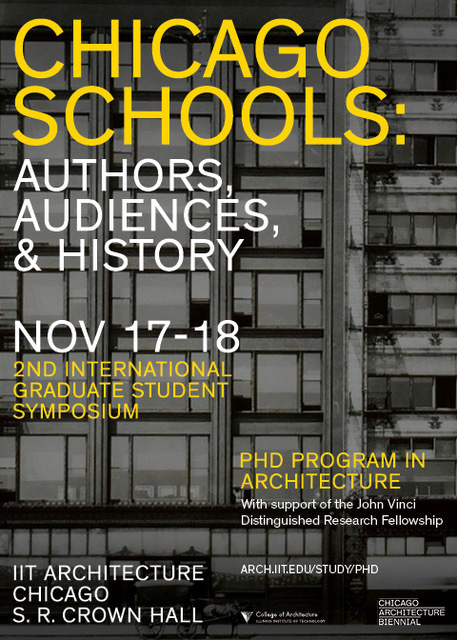 Keynote, “Architecture of an Accelerated Metropolis,” for the conference “Chicago Schools: Authors, Audiences, Histories” at IIT’s Crown Hall, Chicago, November 18, 2017, 3:30pm. 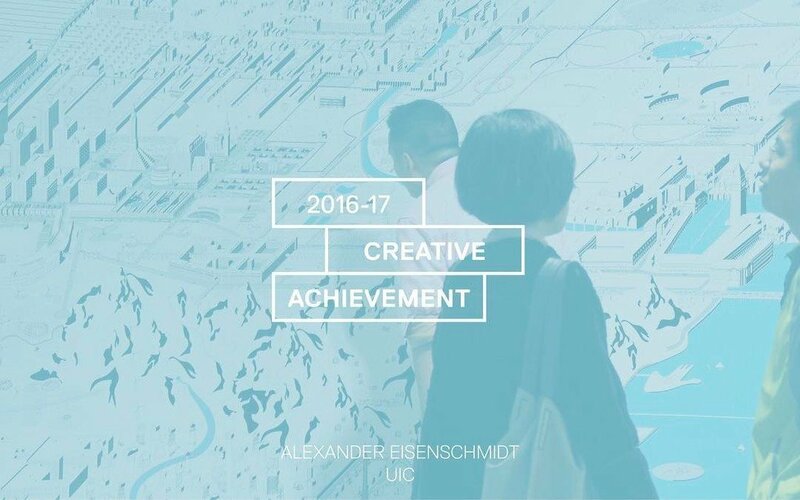 The College of Architecture, Design, and the Arts at UIC recognizes Eisenschmidt with the Silver Circle Award for teaching. Thanks to the graduating class of 2017 that selects the recipient. Lecture, “In Pursuit of an Architectural Urbanism,” at GSAPP Columbia University, New York, February 15, 2017, 3 pm. Remarks and moderating panel at The Logistical City symposium organized by Clare Lyster and hosted by the UIC Institute of Humanities, February 7, 2017, 9am-5:30pm. Lecture, “The City as Visionary Project,” to the Urban Design Program at the Taubman College, University of Michigan, February 3, 2017, 6pm. Interview excerpt was published in Chicago Tribune Arts Section cover story, January 15, 2017. 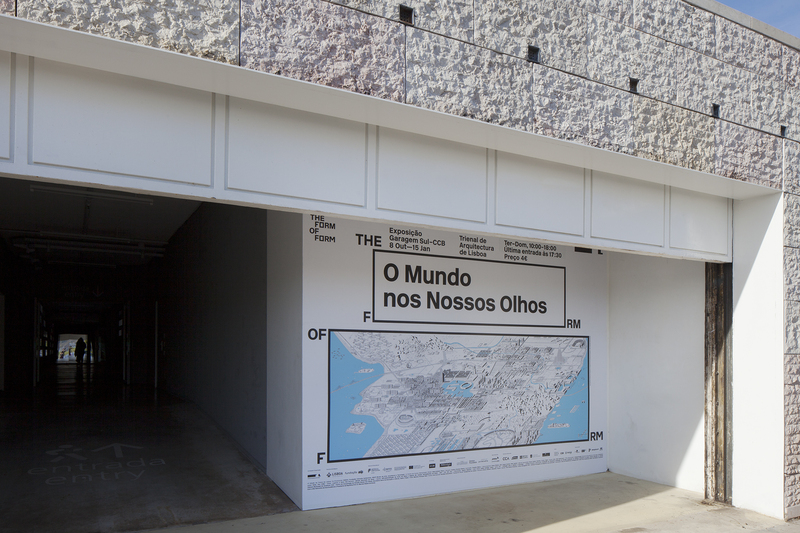 Catalog essays on “Search for an Architectural Urbanism” by FIG projects, “Fantastic,” in The Form of Form (Zurich: Lars Müller and Trienal de Arquitectura de Lisboa, 2016), 118-119 and “Urbano Fantástico,” in O Mundo nos Nossos Olhos – The World in Our Eyes (Lisbon: Trienal de Arquitectura de Lisboa, 2016), 8-9. Lecture, “In Pursuit of an Architectural Urbanism,” at KU Leuven Campus Sint-Lucas, Brussels, Belgium, October 10, 2016, 6:30pm. Thanks to the Getty Foundation in LA for supporting the book project The Good Metropolis with the Library Research Grant. Summer 2016. 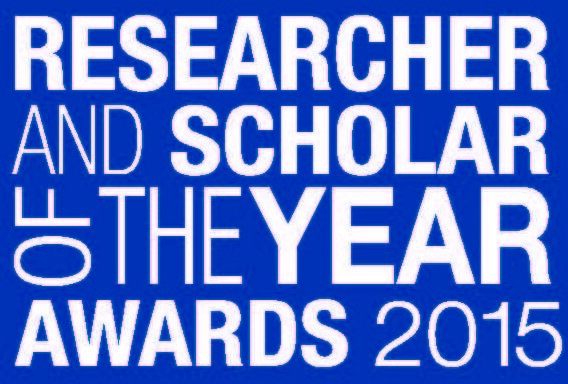 University of Illinois at Chicago names Eisenschmidt the “Rising Star – Researcher of the Year 2015.” Ceremony: February 17, 3:30pm. 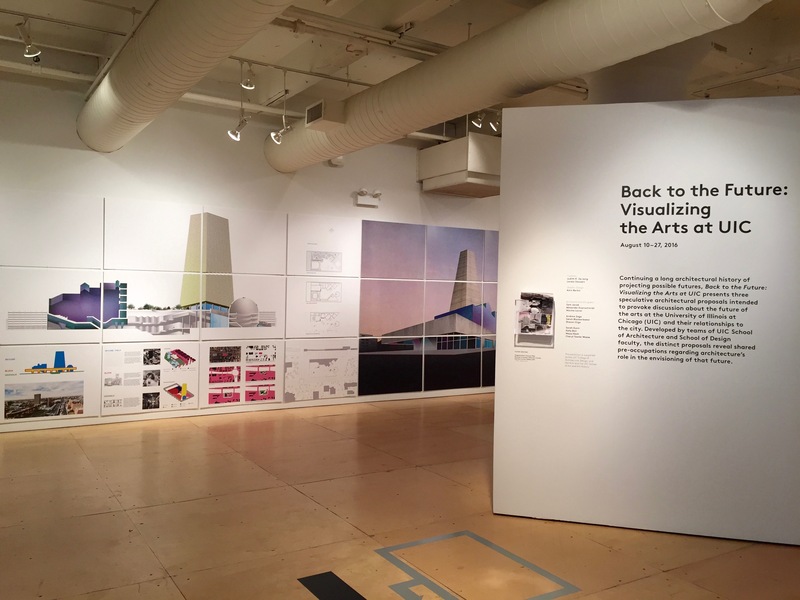 Design for Visual and Performing Arts Center at UIC on view at Gallery 400, August 10 – 27, 2016; 400 South Peoria Street, Chicago, IL 60607. 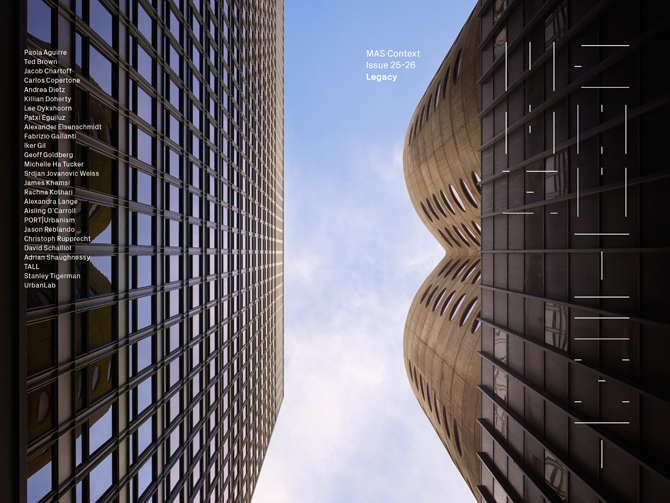 Architectural Record publishes Phantom Chicago Panorama in the article “High Time: Chicago Skyscrapers,” October 2015. 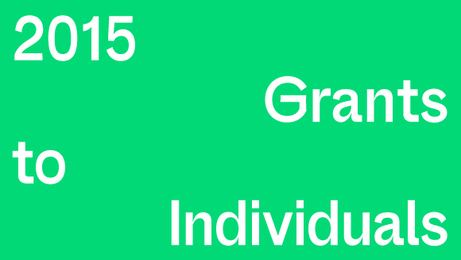 “When You’re Having More Than One,” is a roundtable discussion on the state of design criticism; where IIT is hosting UIC faculty, October 3, 2015, 6-7:30pm. 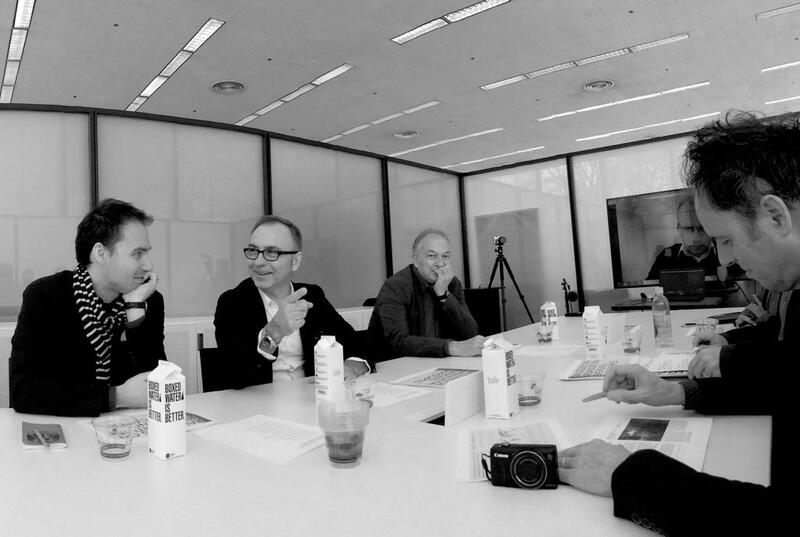 Radio interview about Chicago Architecture Biennial; DeutschlandRadio Kultur, October 3, 2015. A conclusion to the catalog and an introduction to the city: “A History of Chicago in Ten Architectures,” in Chicago Architecture Biennial: The State of the Art of Architecture, catalog (CAB Publishing, 2015), 153-159. 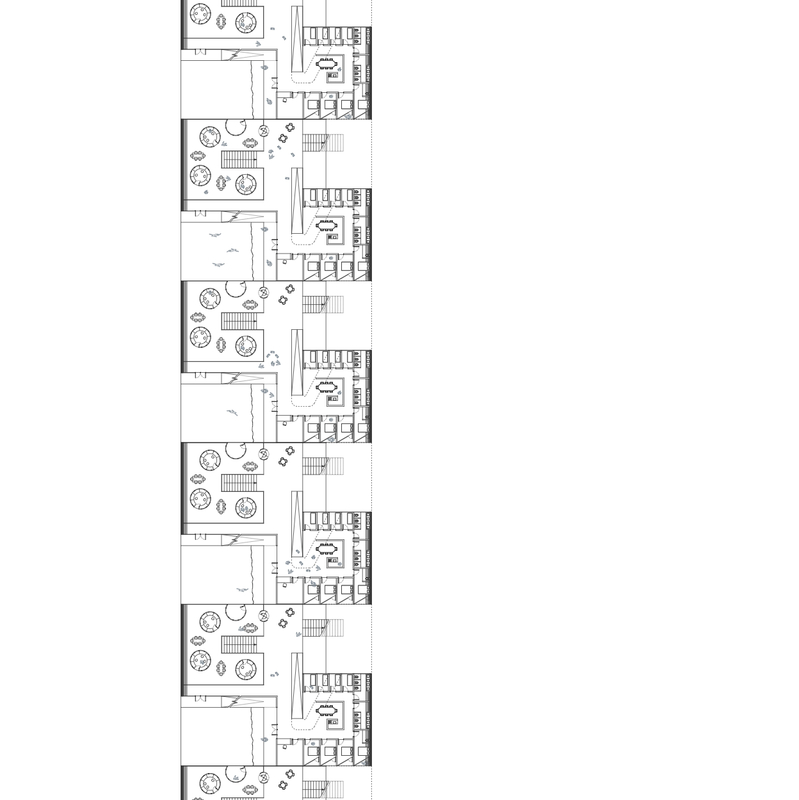 Curtain system design for the art exhibition “Into Body Into Wall” by Maria Gaspar at the Jane Addams Hull-House Museum, Chicago, September-December 2015. 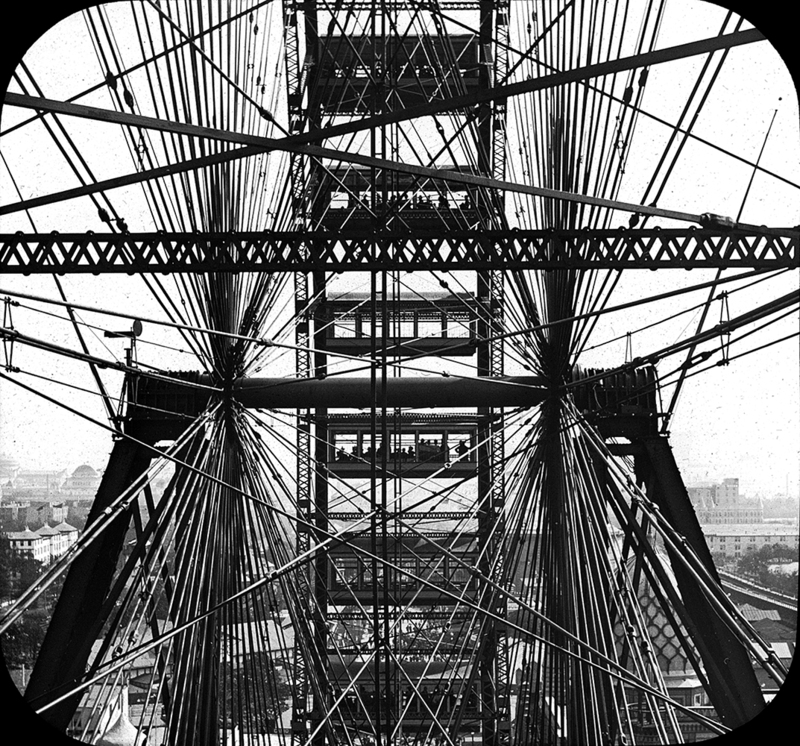 Radio interview about Chicago’s Ferris Wheel by NPR’s All Things Considered, July 2, 2015 (broadcasted July 3). 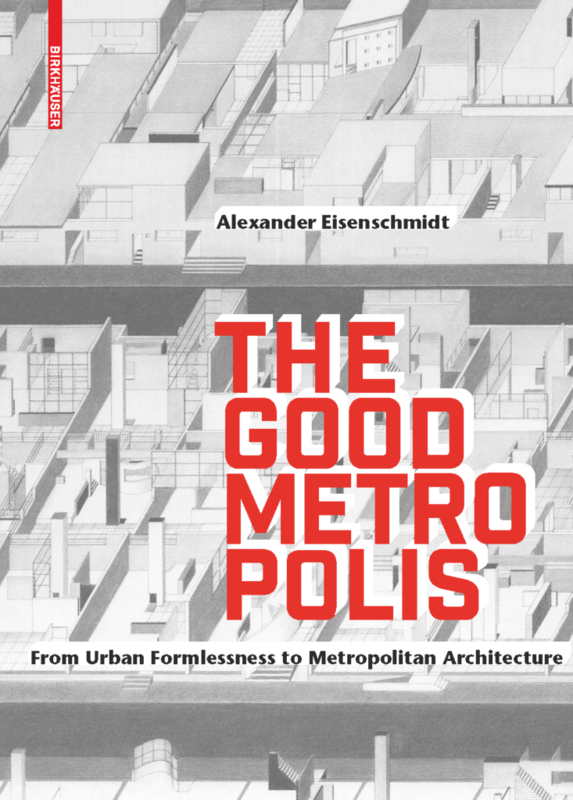 Graham Foundation awards Publication Grant to The Good Metropolis book project. 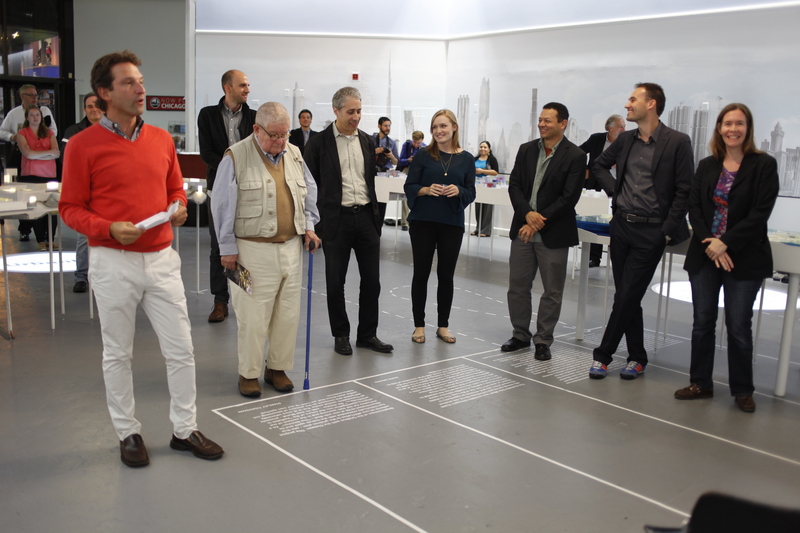 Archinect published review of recent studio of the Visionary Cities Project at UIC Architecture. 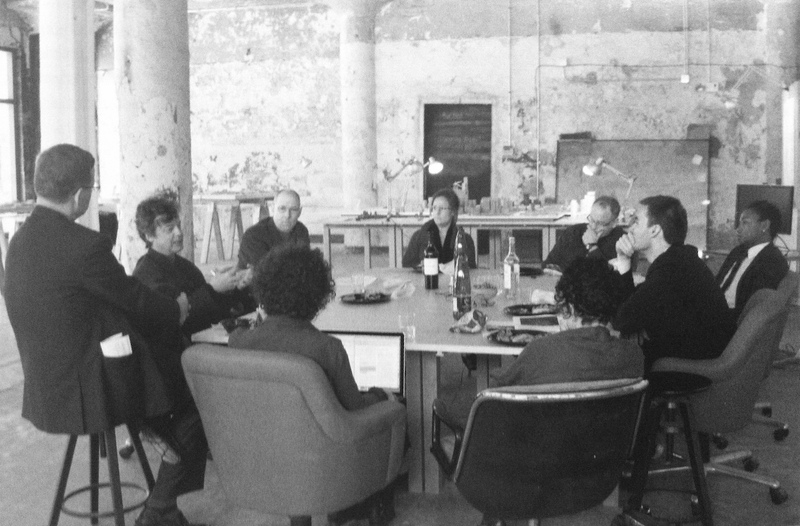 Round-table discussion on Urbanization with Adriaan Geuze, Wiel Arets, Vedran Mimica, Martin Felsen, and Kees Lokman at IIT Architecture, March 23, 2015, 1:30pm. 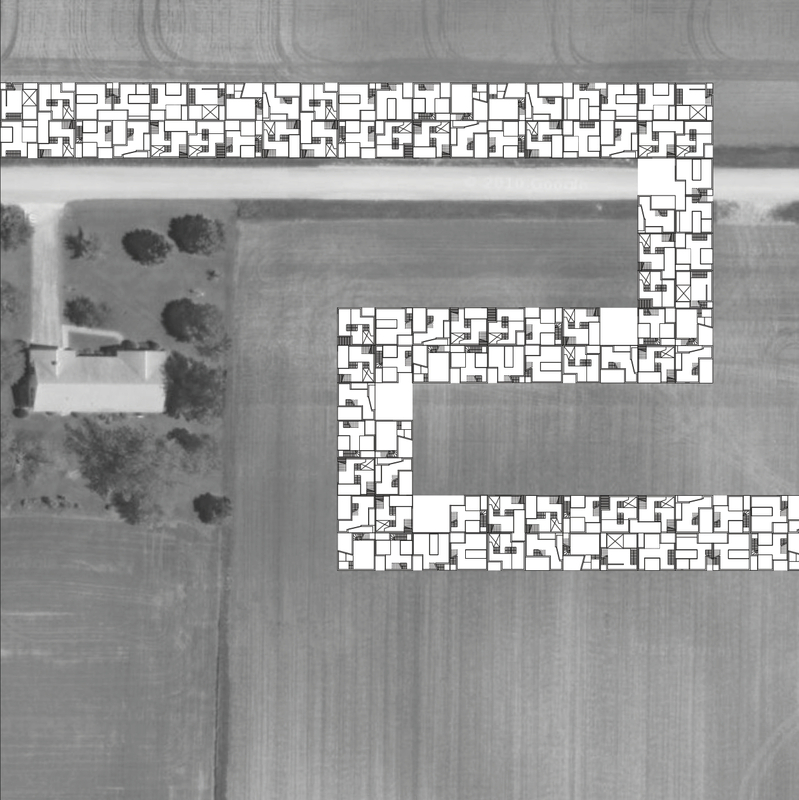 Keynote at the symposium “After Empirical Urbanism” at the University of Toronto, John H. Daniels Faculty of Architecture, Landscape, and Design, March 1, 2015, 1:30pm. 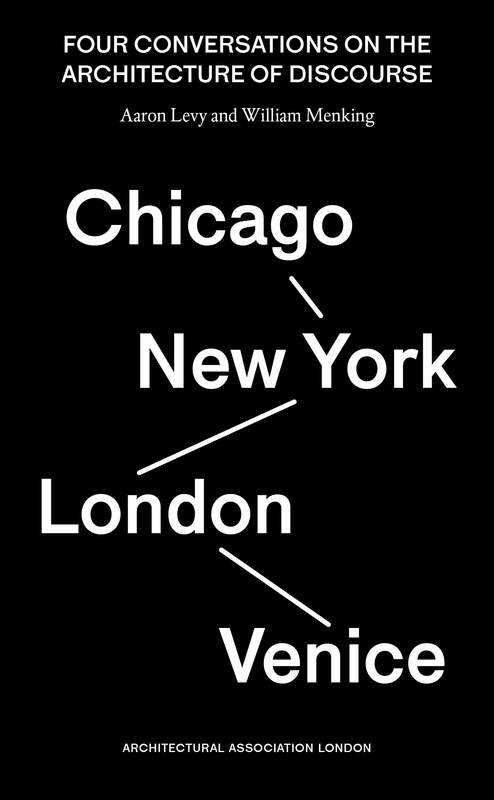 conference _ CHICAGOISMS: A CITY TO SPECULATE? 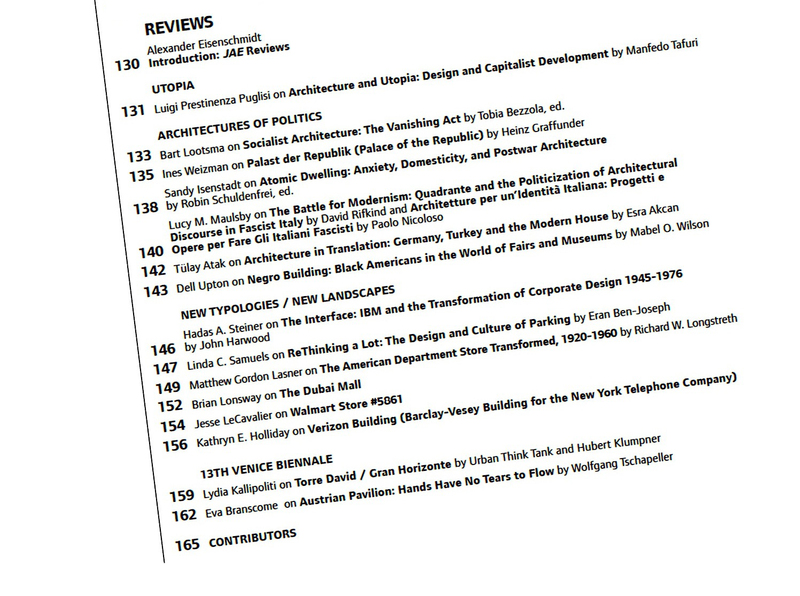 Chicagoisms makes Architecture Boston (AB) List of top books to read in 1914, followed by Koolhaas’ Delirious New York and Wolfe’s From Bauhaus to Our House. “The Export of Metropolitan Architecture” lecture at the AA in London, UK (10/28), the University of Kent, UK (10/29), Hochparterre in Zürich, CH (10/30), the OfficeUS at the Venice Biennale, IT (10/31), and Pro qm in Berlin, DE (11/03). 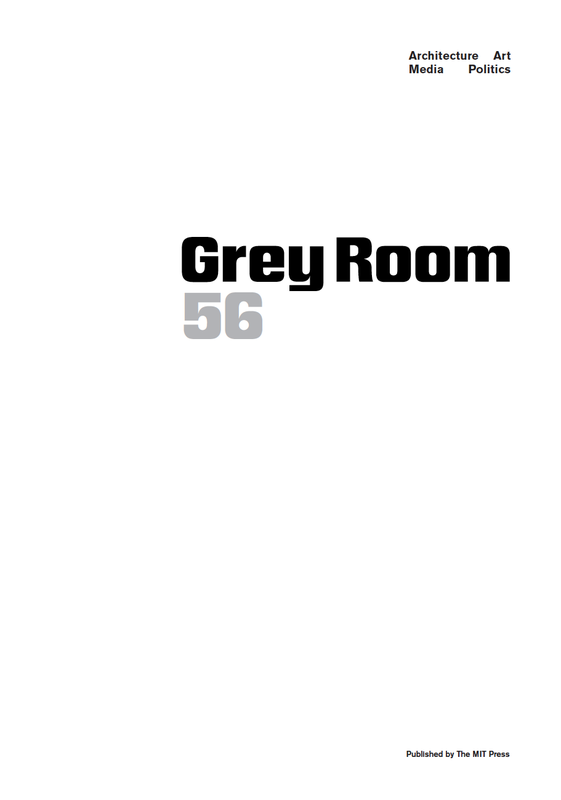 Essay “Metropolitan Architecture: Karl Scheffler and Alfred Messel’s Search for a New Urbanity,” Grey Room #56 (Summer 2014): 90-115. Book Reviews of Chicagoisms in Dwell, Chicago Reader, the Mexican journal Arquine, and the German magazines Wohnrevue and Umriss. “A New Visionary;” lecture at the “Instruments for Urban Production” symposium in conjunction with the book launch of The Petropolis of Tomorrow and hosted at the Chicago Architecture Foundation, April 25, 2014, 6pm. 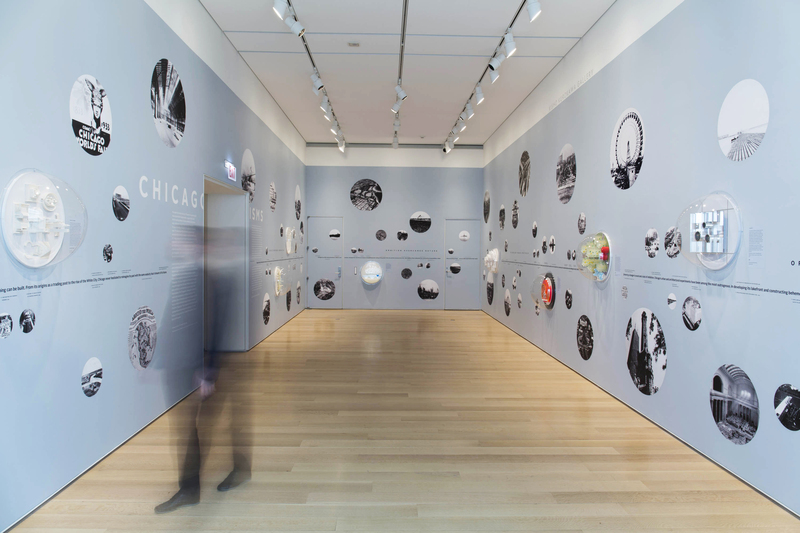 Gallery Talk on “Chicagoisms” at the Art Institute of Chicago, April 24, 2014, 6pm. 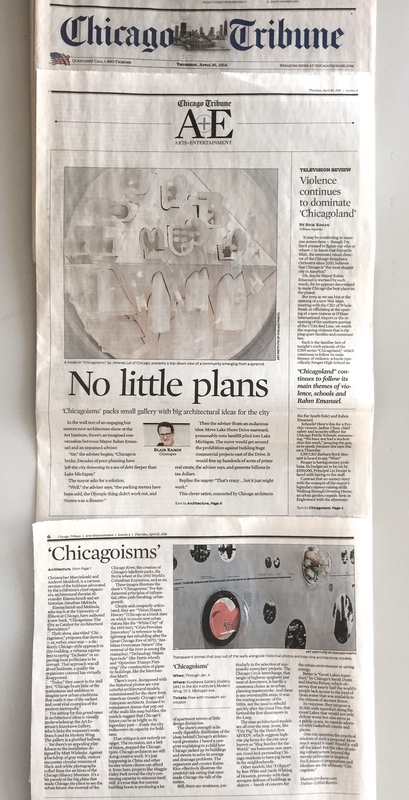 “Chicagoisms” exhibit featured on TV at WTTW and headlined Chicago Tribune Arts Section: “Small Gallery Stuffed with Big Architectural Ideas” by Blair Kamin. Book launch event with panel discussion and reception at the Graham Foundation, April 5, 2014, 2pm. Introduction by Sarah Herda (Director, Graham Foundation), followed by a lecture on the publication by Eisenschmidt, talks by Penelope Dean, Ellen Grimes, Sam Jacob, and Mark Linder, and a closing panel discussion moderated by Jonathan Mekinda. Co-organizer and curator of Chicagoisms exhibition at the Art Institute of Chicago, Kurokawa Gallery, April 24, 2014 – January 4, 2015. 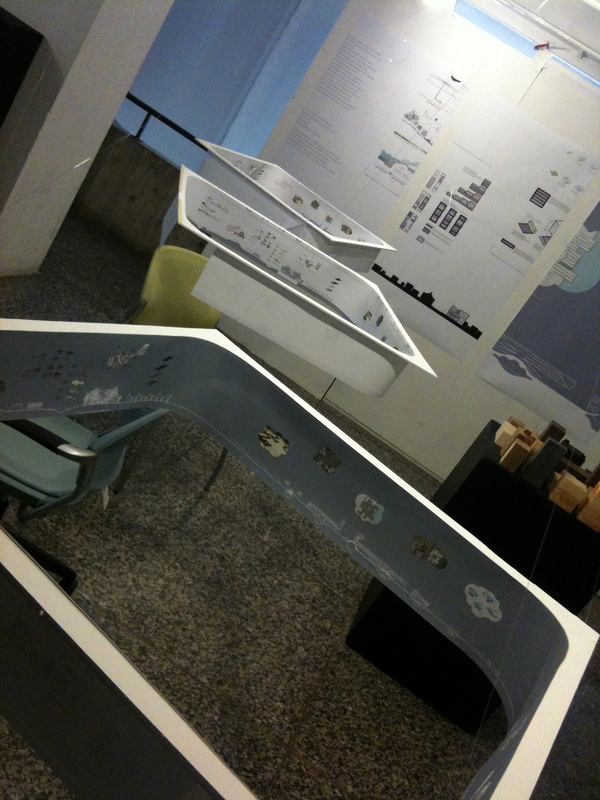 Exhibition design by Studio Offshore (Eisenschmidt) in collaboration with graphic designer Matthew Wizinsky. 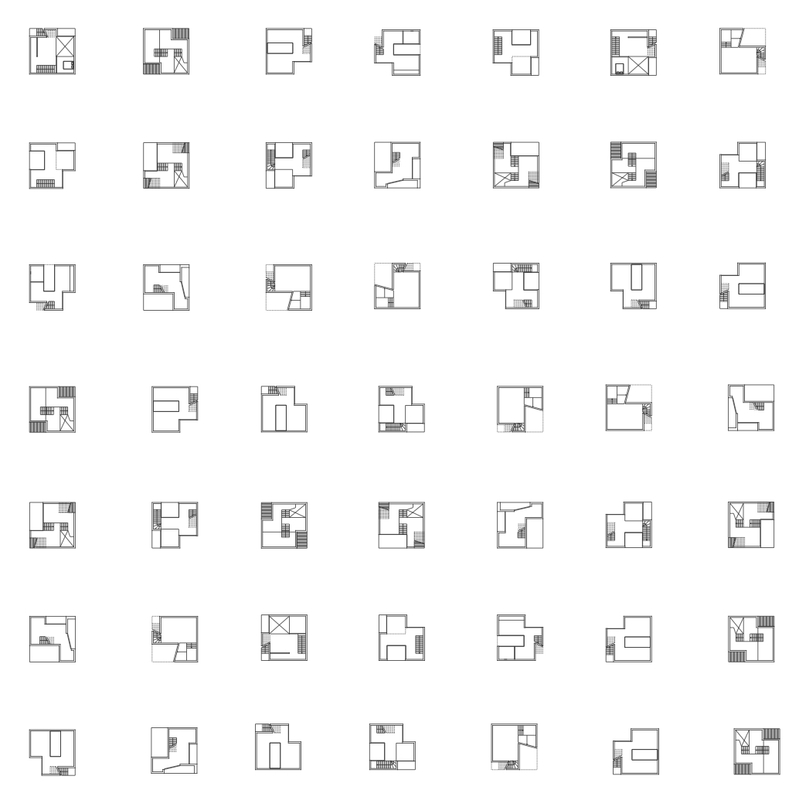 120 images, nine models, and five principles. The exhibition builds on the premise of the book Chicagoisms. Revisiting the characteristics, attitudes, and mentalities of the city’s past, it mines the history of Chicago to define principles of architectural action and urban engagement: Vision Shapes History, Optimism Trumps Planning, Ambition Overcomes Nature, Technology Makes Spectacle, and Crisis Provokes Innovation. 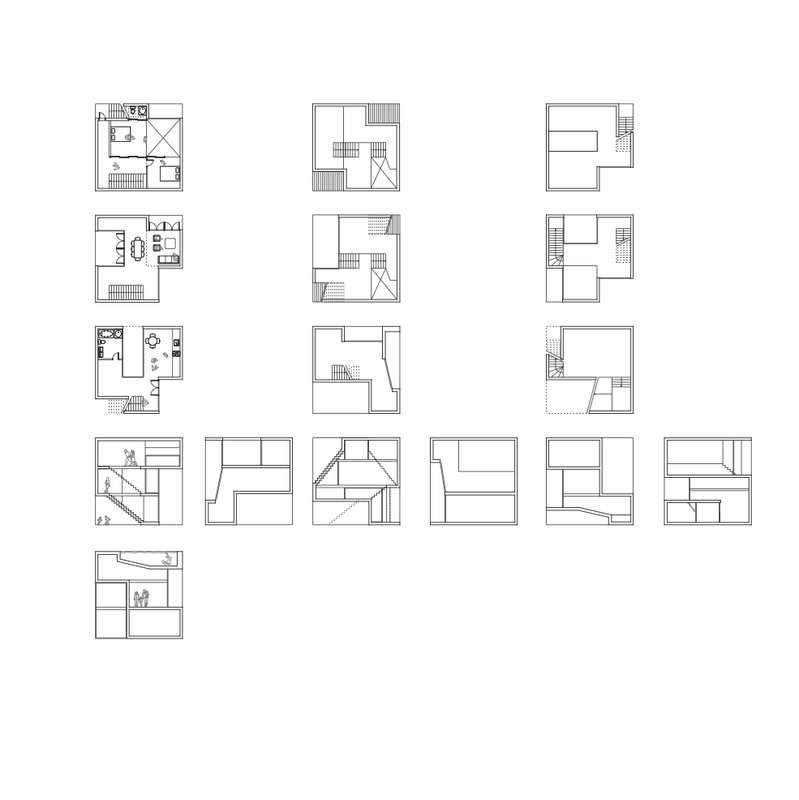 These Chicagoisms are also deployed here as springboards for new experiments as local and international teams of architects conceived visions inspired by the city that project as models from an array of historical imagery, together constructing a panorama of alternative urban worlds. 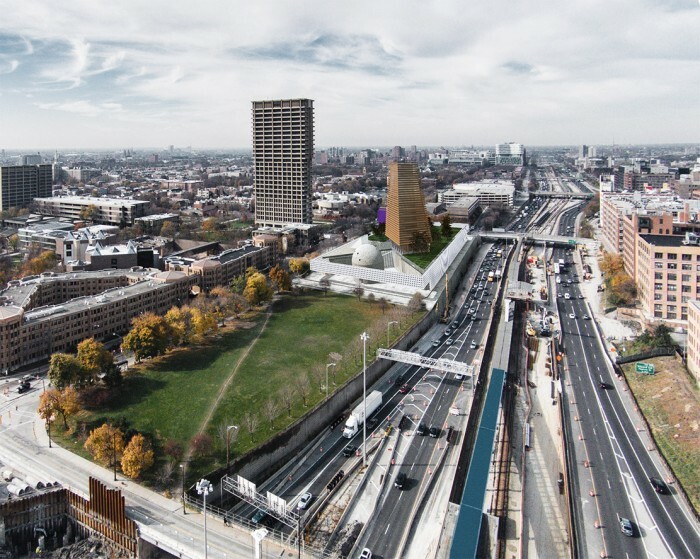 In collaboration with architectural historian Jonathan Mekinda and graphic designer Matthew Wizinsky, and with contributions by Bureau Spectacular, DOGMA, MVRDV, ORG, PORT, Sam Jacob Studio, Sean Lally/Weathers, UrbanLab, and WW. “The New Visionary,” a talk at the Opening Keynote Session at the AIAS Forum in Chicago: “Prospects for an Evolving Profession,” Fairmont Chicago, December 30, 2013, 4pm. Lecture on “Chicagoism” at Mies’ IIT Crown Hall, October 25, 2013, 12:30pm. 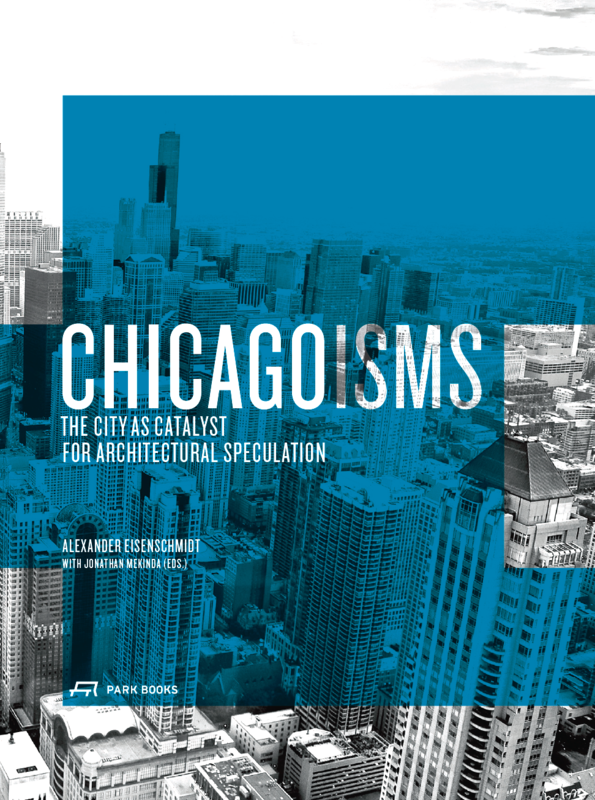 Contributing author and lead-editor of Chicagoisms: The City as Catalyst for Architectural Speculation (Zürich: Scheidegger & Spiess/Park Books, 2013). Chicagoisms is a collection of essays on the various roles that Chicago has played as a catalyst for the exchange of urban and architectural ideas. 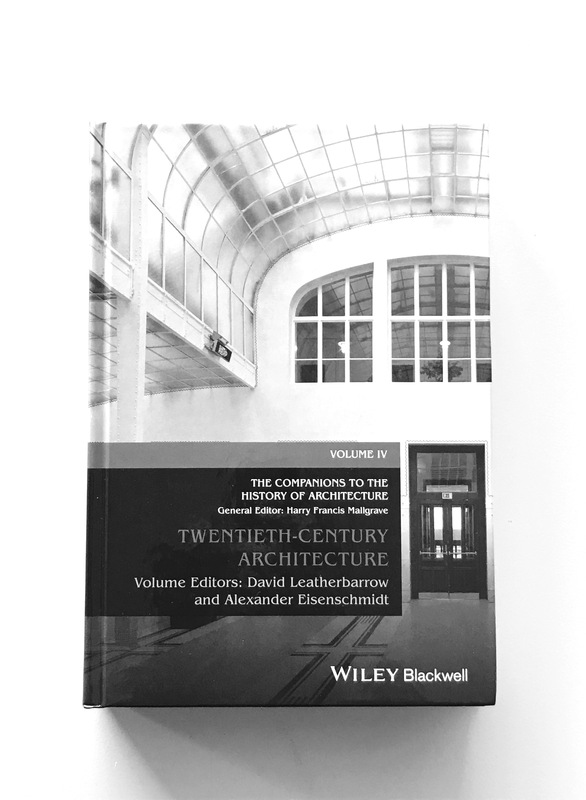 In a series of original essays, a diverse roster of distinguished and emerging historians, theorists, curators, and architects explores the different ways that Chicago has influenced the evolution of the architectural discourse in the US and around the world. 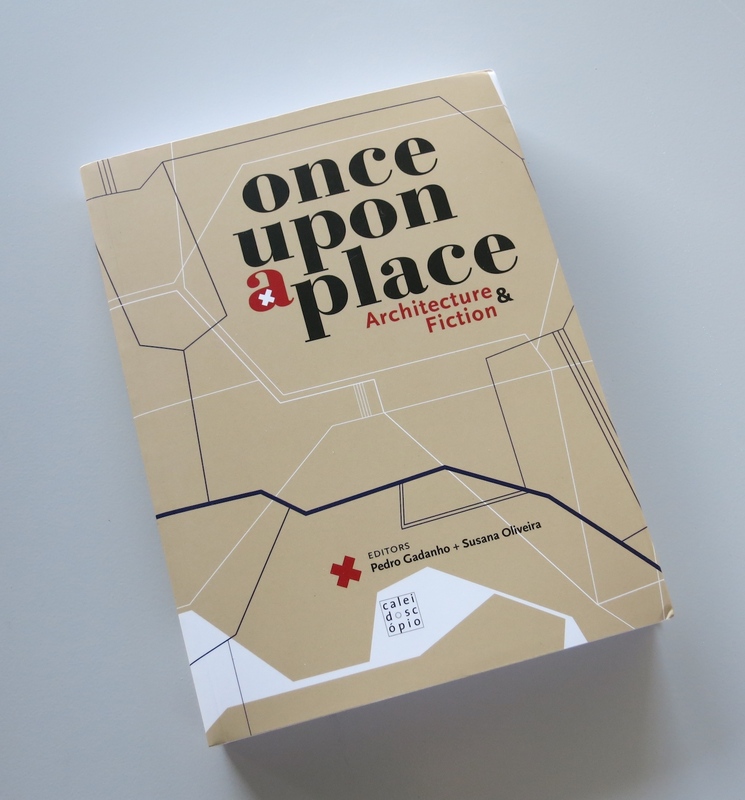 The book involves 28 authors in a collective interrogation of Chicago as a springboard for architectural and urban speculation. 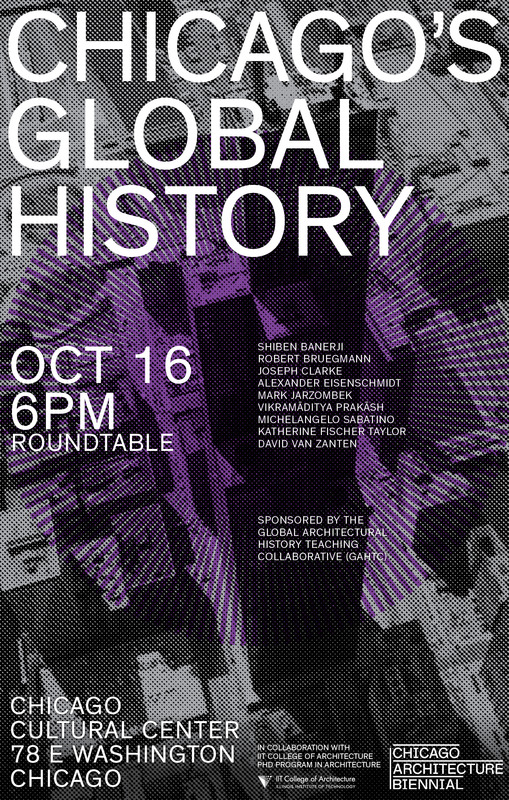 The aim is to instigate a new way of thinking about the city’s influence on the global architectural discourse. 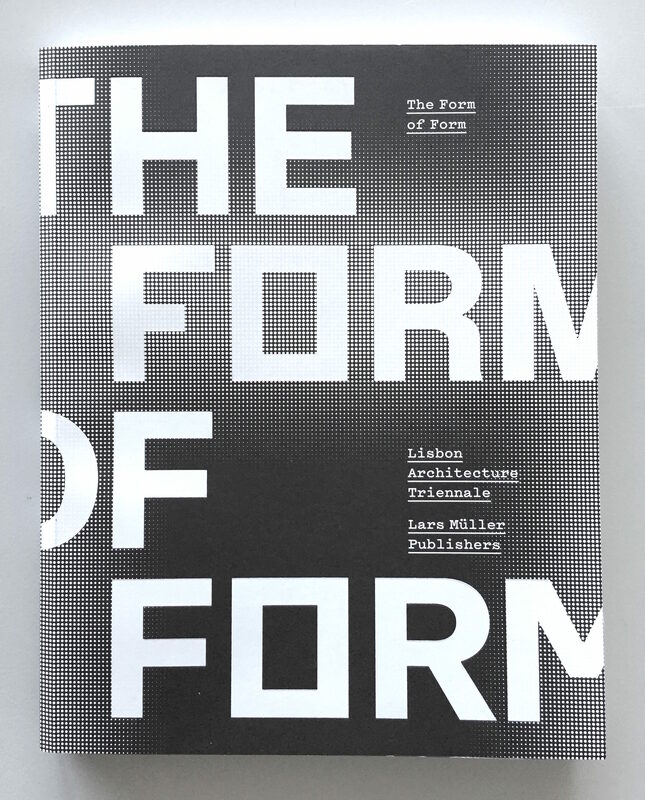 Contributions include: a preface by Stanley Tigerman; essays by Penelope Dean, John Harwood, David Haney, Mark Linder, Igor Marjanović, Joanna Merwood-Salisbury, and Albert Pope; project commentaries by William Baker, Barry Bergdoll, Aaron Betsky, Robert Bruegmann, Pedro Gadanho, Ellen Grimes, Sandy Isenstadt, Sam Jacob, Sylvia Lavin, Mark Lee, Andres Lepik, David Lewis, Bart Lootsma, Winy Maas, John McMorrough, Brett Steele, Kazys Varnelis, Sarah Whiting, and Mirko Zardini; as well as my essay, “No Failure Too Great,” a commentary on the circle interchange, entitled “Automatic Urbanism,” and the introduction “Chicago as Idea” (co-authored with Jonathan Mekinda). 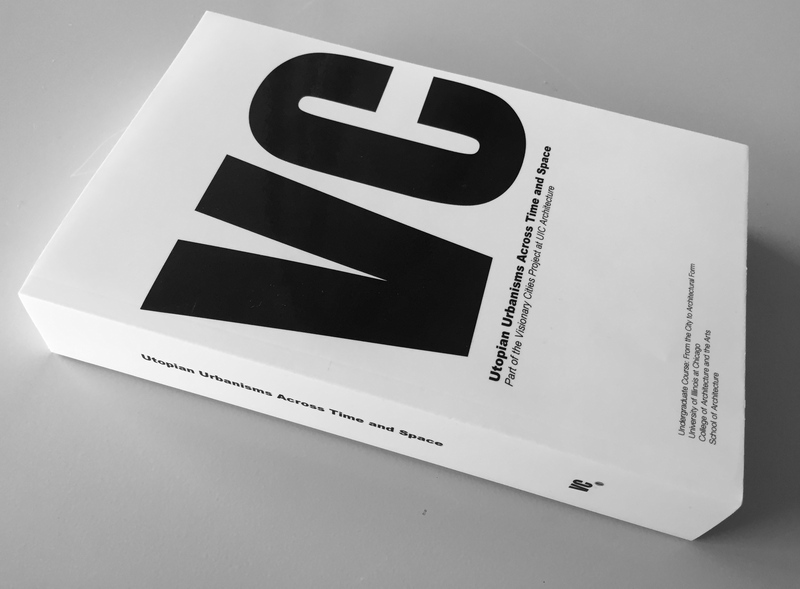 Published by Scheidegger & Spiess / Park Books, the volume was first presented at the Frankfurt and the Leipzig Book Fair in 2013. It is available in stores worldwide and in the US through distribution by the University of Chicago Press. You can order it here. 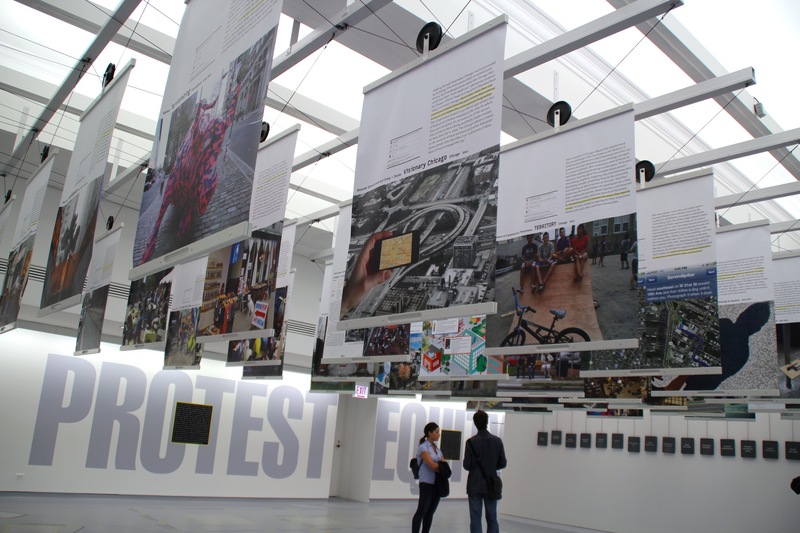 Gallery Talk, at the occasion of the exhibition City Works: Provocations for Chicago’s Urban Future at the Expo 72 Gallery, September 18, 2013, 5:30pm. Designer and curator of City Works: Provocation for Chicago’s Urban Future exhibition at the City of Chicago’s Cultural Center – Expo 72 Gallery (72 E. Randolph Street, Chicago), May 24 – September 29, 2013. 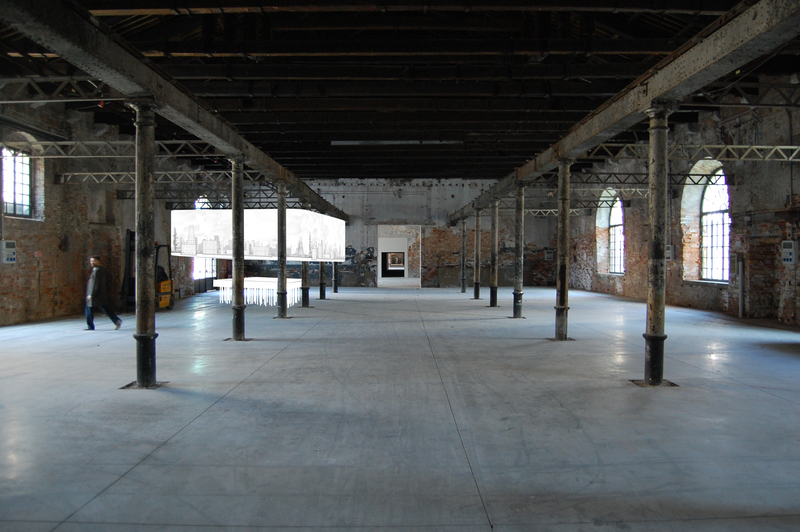 City Works was previously exhibited at the 13th International Architecture Biennale in Venice (2012) and has now returned to the city of its origin. The exhibition re-envisions a series of urban environments that are typical for Chicago in order to examine alternatives to the way architecture engages the city. 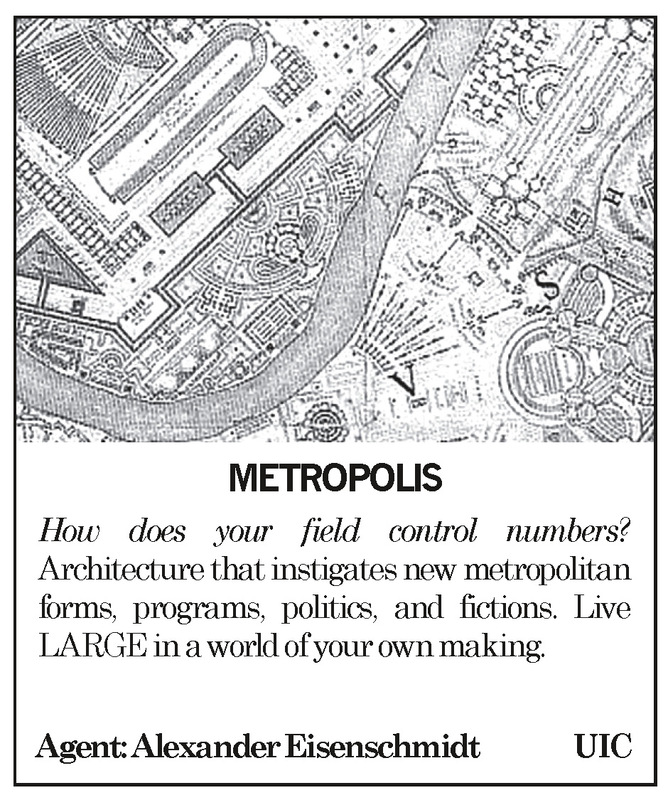 In collaboration with David Brown, Studio Gang Architects, Stanley Tigerman, and UrbanLab / Sarah Dunn & Martin Felsen (who each produced one large models 12’x3′), the installation sets out to find potentials for spatial, material, programmatic, and organizational invention within the city. 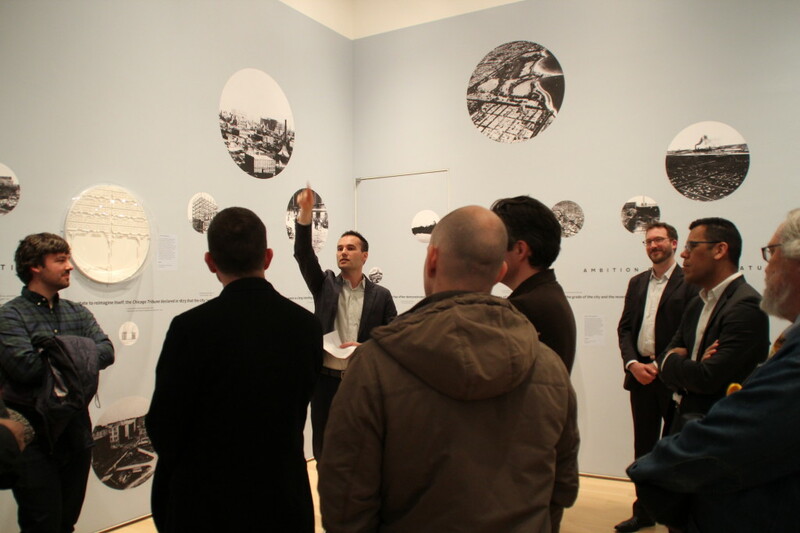 The four models are surrounded by a 160′-long panorama that shows a visionary city … a drawing entirely composed of historical unbuilt visions for the city of Chicago (created by Eisenschmidt and his team at the Visionary Cities Project). 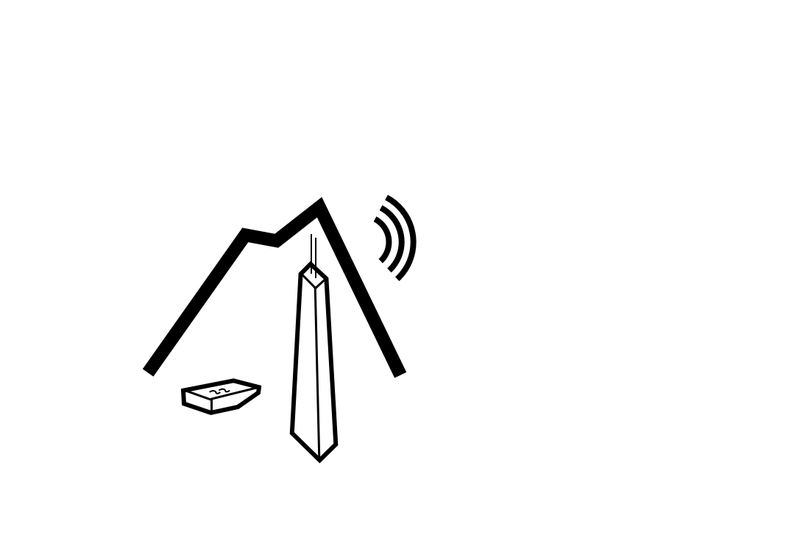 In addition, an iPhone app links the visionary drawings on the wall to the existing city by locating the different schemes and presenting vital information about the projects. 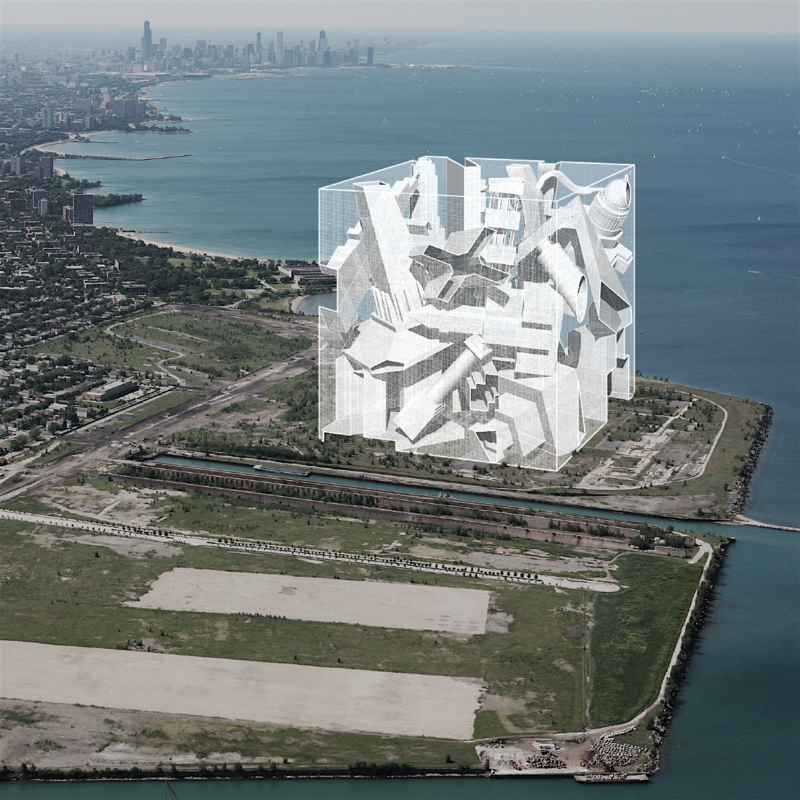 Over the duration of the exhibition, the models will travel throughout the gallery, visit the different parts of the city’s visionary history, and, finally, come together to create a new collective project of the city – one that is intended as Provocation for Chicago’s Urban Future. 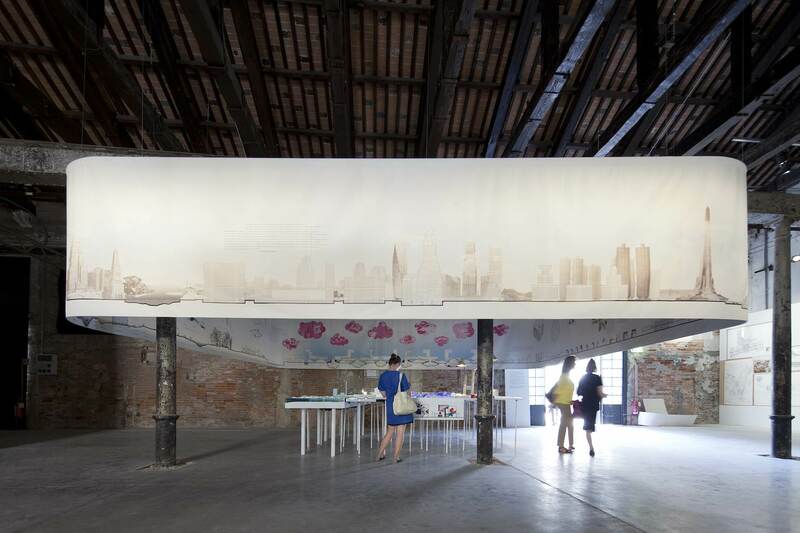 Produced first for the 13th Architecture Biennale in Venice (2012), a redesigned and expanded version of the panorama was on display at the city of Chicago’s Cultural Center Expo 72 Gallery, measuring 160′ in length. The Atlantic reviewed the Phantom Panorama Exhibition & App. 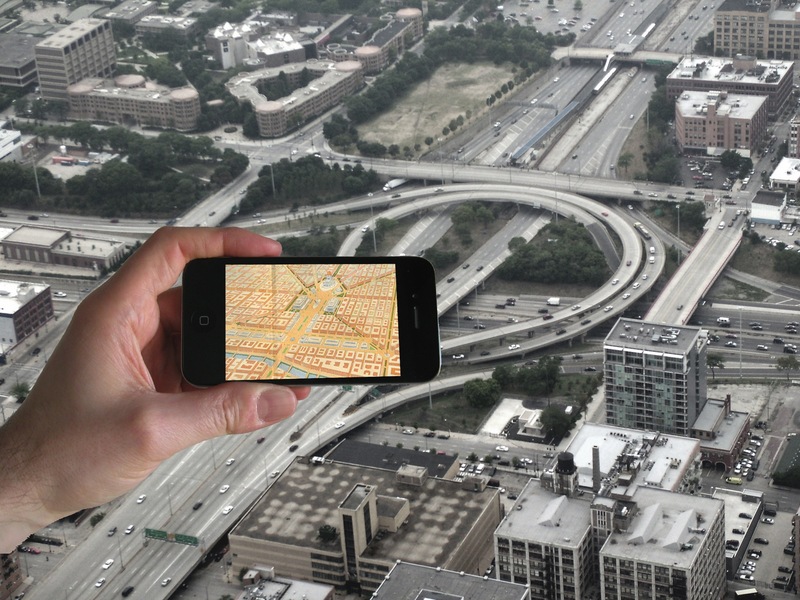 A collaboration between the Visionary Cities Project and the Museum of the Phantom City (Cheng + Snyder), Visionary Chicago at the Spontaneous Interventions exhibition to present an iPhone app that broadcasts the unbuilt visionary plans for Chicago. 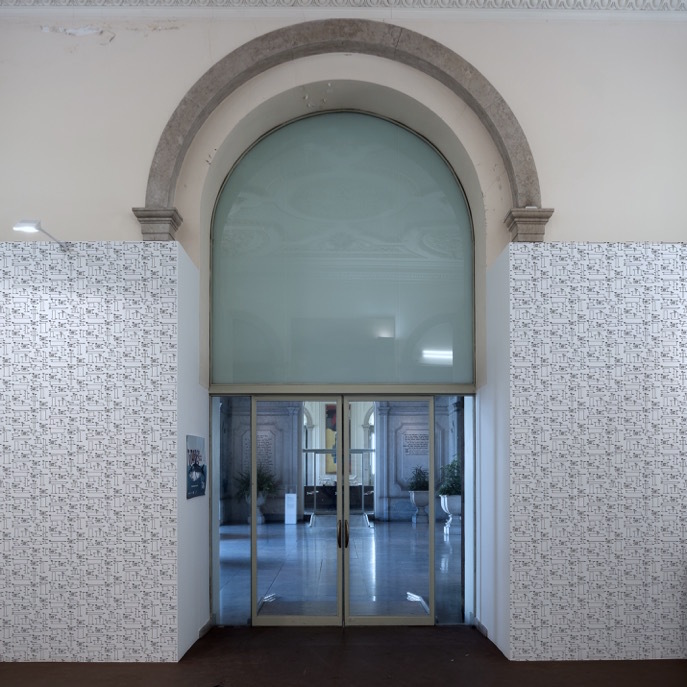 Chicago Cultural Center, May 24 – September 1, 2013 (previously at the Venice Architecture Biennale). 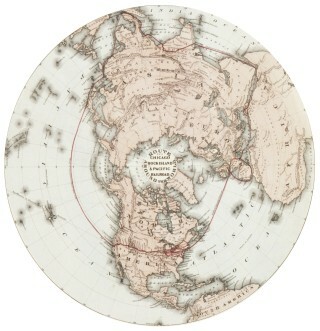 The Visionary Cities Project developed an iPhone app in collaboration with Cheng+Snyder (www.chengsnyder.com). 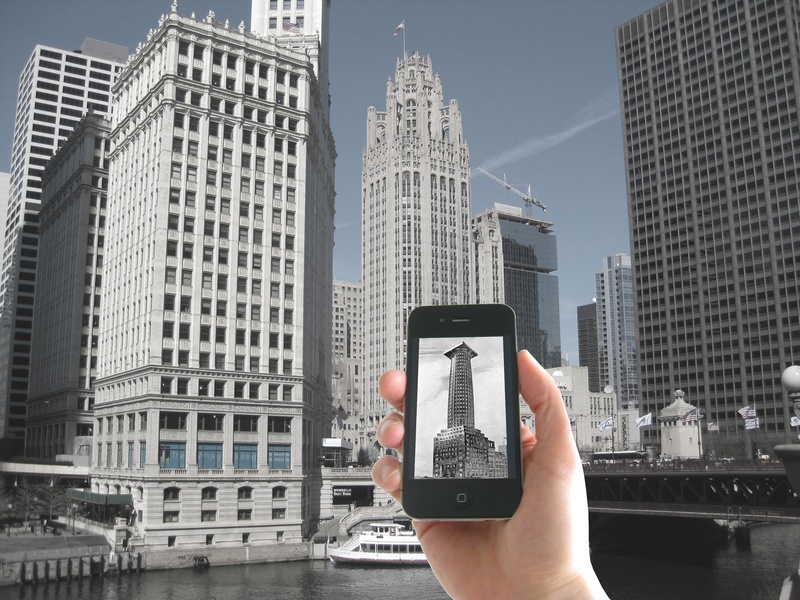 This app not only visualizes the large amount of visionary proposals for the city of Chicago but also accompanies the Visionary Chicago Panorama at the exhibition City Works in order to give access to the many projects in the drawing. 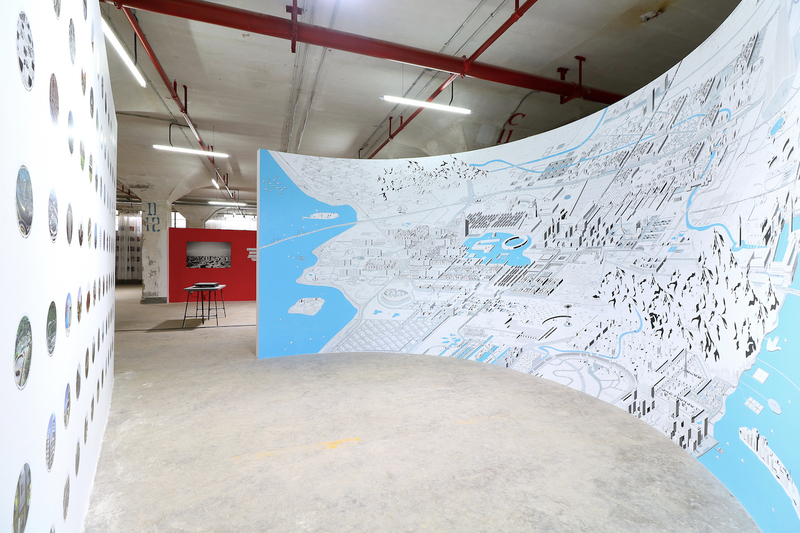 While the panorama composes a parallel unbuilt city within the confines of the gallery, the iPhone app makes connections to the existing city outside. Here, knowledge about these schemes escapes the gallery and ventures into the city. 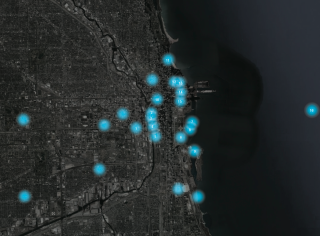 It allows users to locate and visualize past utopian schemes while traveling through Chicago, with the goal of encouraging playful urban speculation in the present. Download the free iPhone app here. 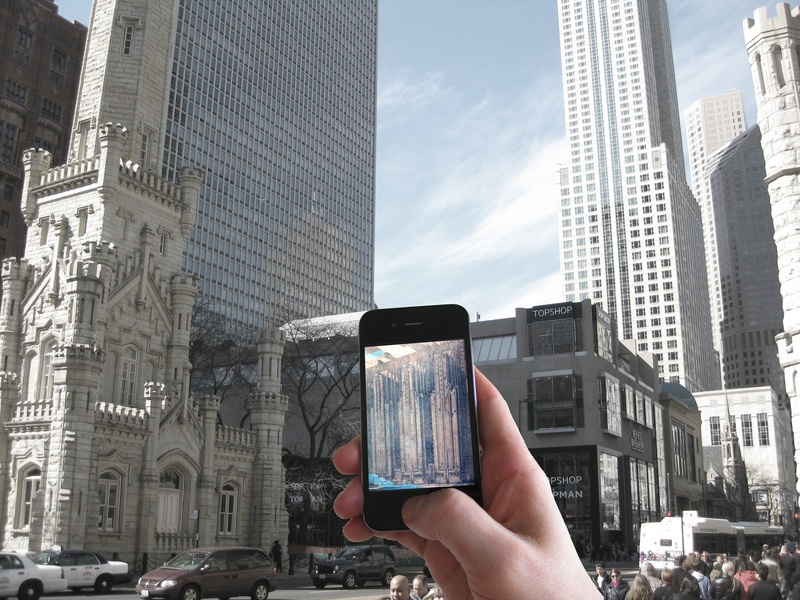 City Catalyst: Architecture in the Age of Extreme Urbanization is now also available for iPad. 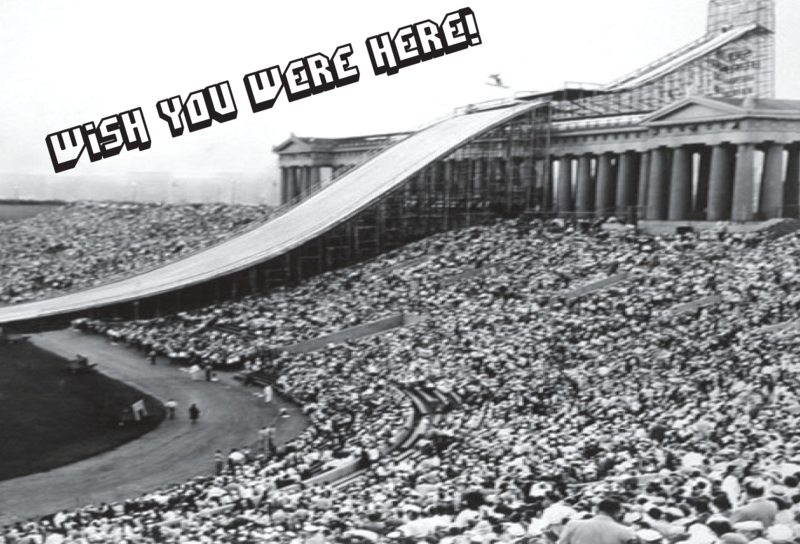 research/teaching _ WISH YOU WERE HERE! talk _ LESS PLANNING, MORE VISION! Invited speaker at the National Conference of the American Planning Association, Chicago, April 15, 2013 [a talk, intended as a provocation to planning]. 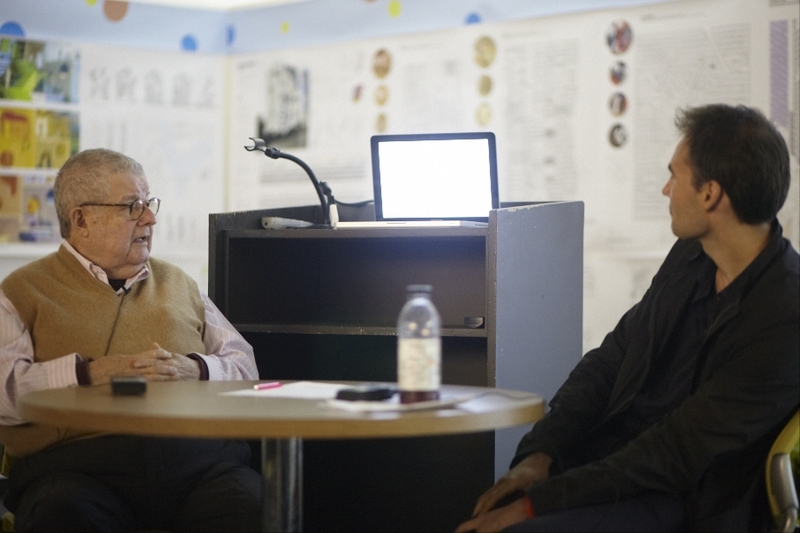 Public lecture for the official lecture series at John H. Daniels Faculty of Architecture, Landscape, and Design at the University of Toronto, November 15, 2012. 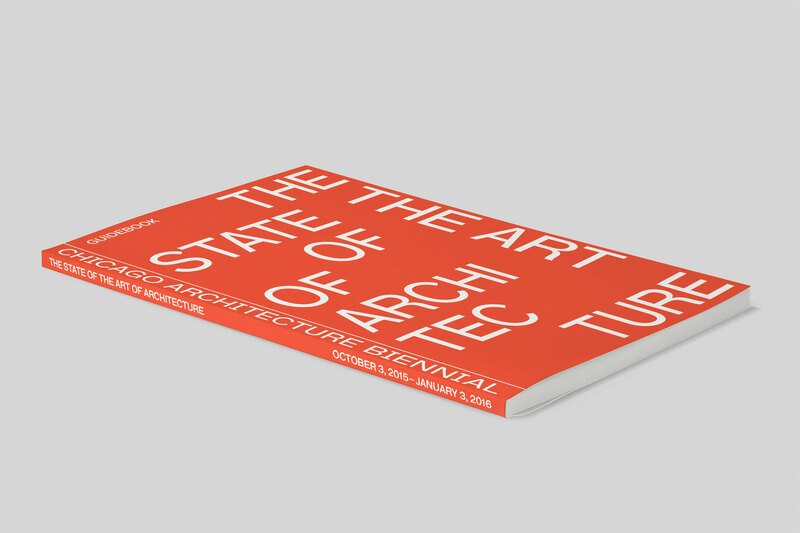 Book Launch of City Catalyst at the Museum of Contemporary Art in Chicago (September 22, 2012, 1pm) and Launch Party at the University of Illinois at Chicago’s School of Architecture (October 5, 2012, 6pm). 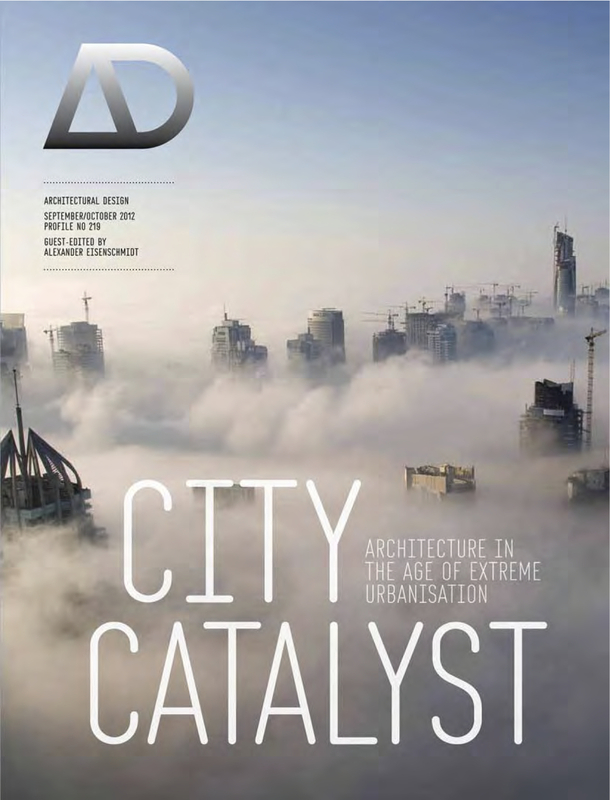 Guest-editor and author of City Catalyst: Architecture in the Age of Extreme Urbanization, Architectural Design, # 219 (September/October 2012). The discipline’s failure to engage the city productively has devastating consequences that simultaneously diminish the role of architecture and trivialize the city. This issue of AD, then, proposes a new architecture–city relationship beyond outright resistance or unconditional embrace. 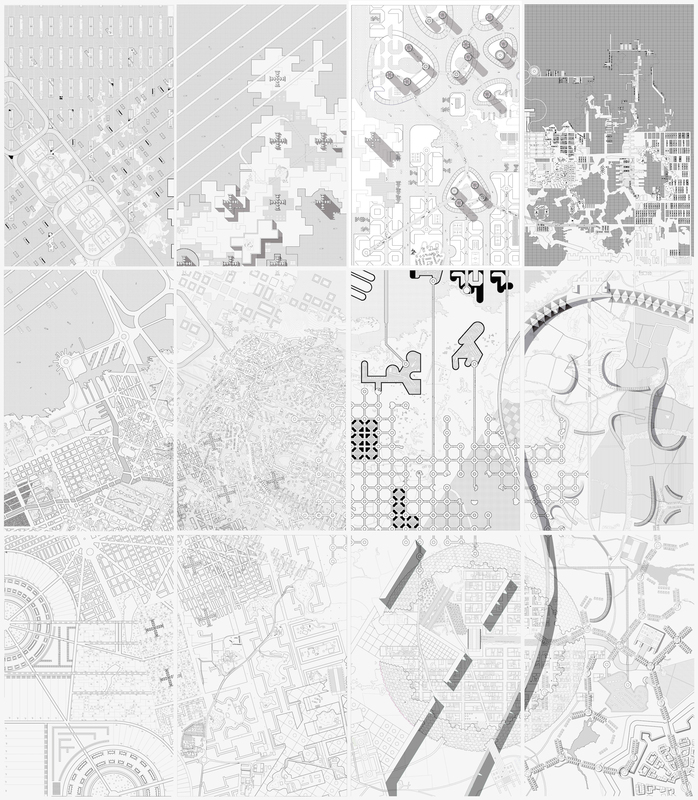 It suggests rethinking the city as a catalytic realm of invention and a space of possibilities. 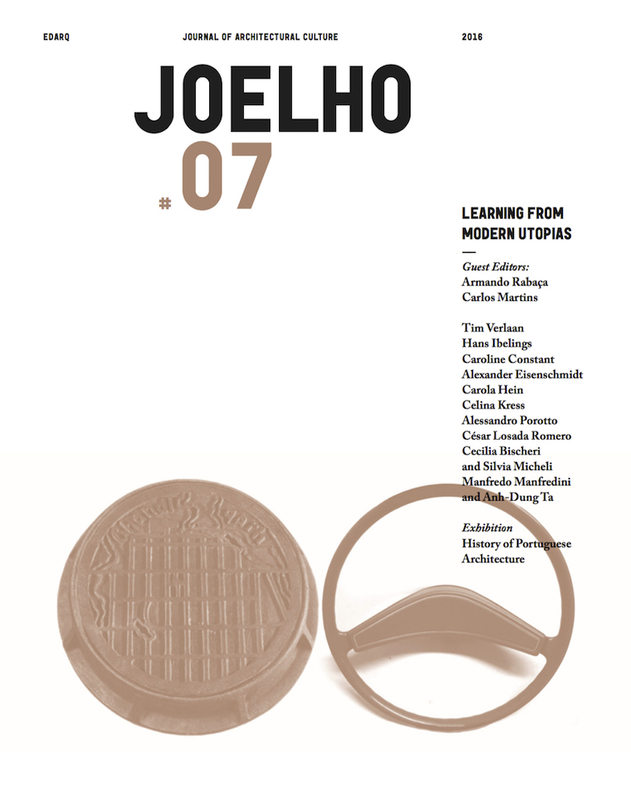 Contributors include: Kunlé Adeyemi/NLE, Edward Denison, Sarah Dunn and Martin Felsen/UrbanLab, Keller Easterling, Daniela Fabricius, Adriaan Geuze/West 8, Sean Lally/Weathers, Jesse LeCavalier, Jürgen Mayer H, Srdjan Jovanovic Weiss/Normal Architecture Office, OMA, Kyong Park, Albert Pope, Michelle Provoost and Wouter Vanstiphout/Crimson, Robert Somol, Ron Witte/WW, Yoshiharu Tsukamoto/Atelier Bow-Wow, and Bernard Tschumi (interview by Alexander Eisenschmidt). 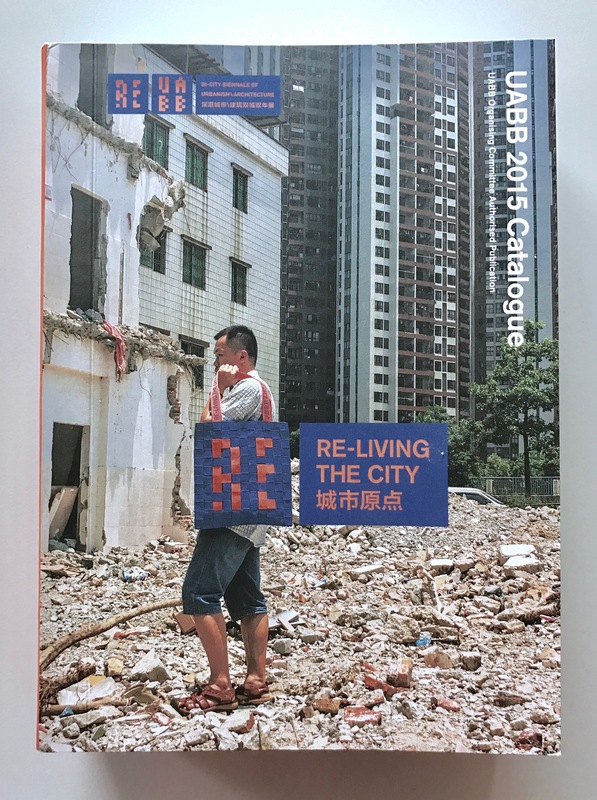 Including my contributions: “Stranger the Fiction: A Mission Statement” (introduction), “The City’s Architectural Project: From Formless City to Forms of Architecture,” and “Importing the City into Architecture: A Conversation with Bernard Tschumi” (interview). You can order it here. Organizer and chair of the international conference on the state of visionary urbanism, in collaboration with and hosted at the Museum of Contemporary Art in Chicago, 10am-6pm, September 22, 2012 (over 200 attendees, 3 panels, 15 speakers, 3 moderators). Event is featured in full length at Radio WBEZ-NPR. Architecture’s failure to engage the contemporary city will have devastating consequences that simultaneously diminish the role of architecture and trivialize the city. 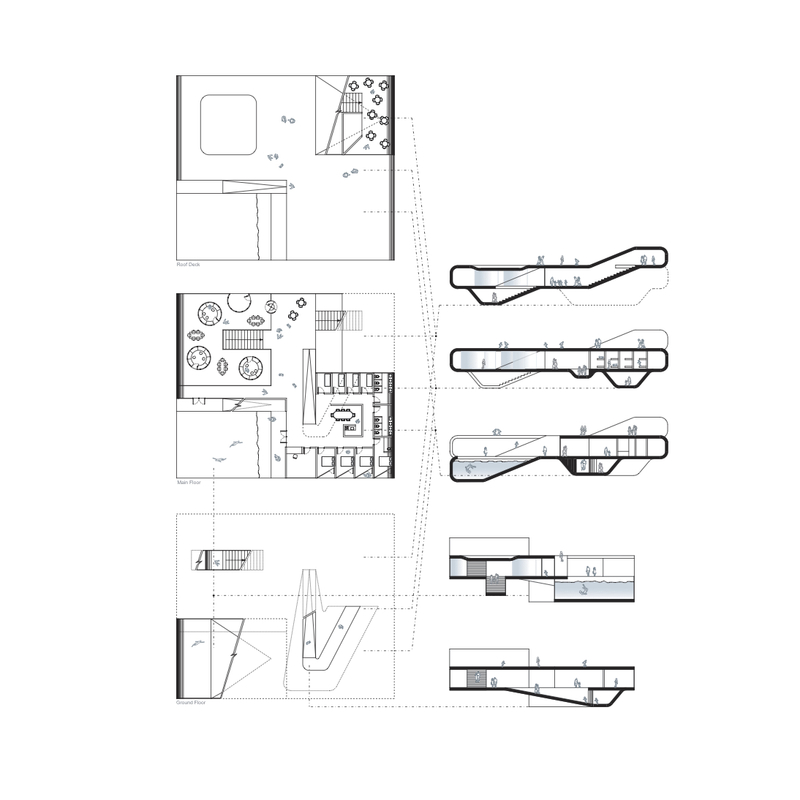 This symposium will, therefore, probe architecture’s ability to function once again as urban “vision maker.” After all, architecture and urbanism are by definition visionary; its drawings, animations, and scenarios are always an act of forecasting. They are about something that is not yet – a projective envisioning of a world to come. What at first sight might seem to run counter to the professionalism of architecture and urbanism could, in fact, revitalize these disciplines. Hence, the symposium calls on architects to enter the contemporary city with visions for the immediate urban future. 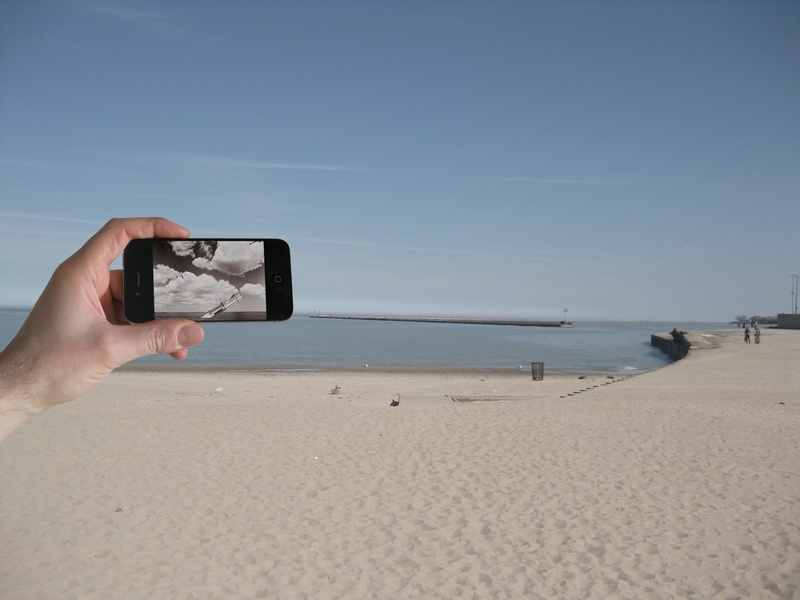 Video installation at the Museum of Contemporary Art Chicago, September 10 – 23, 2012. Video interview at the 13th Venice Biennale about the curation of City Works, August 2012, aired on September 2012 at La Biennale Channel [4 min]. 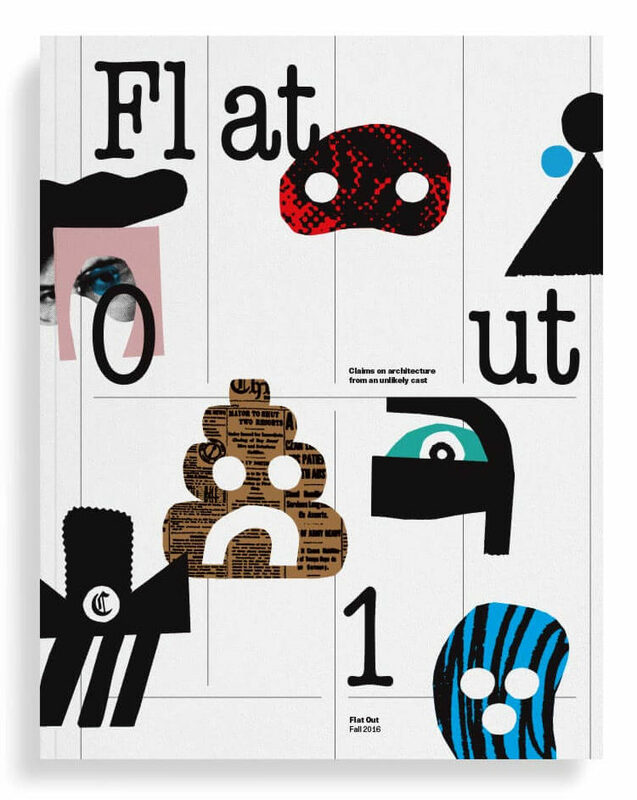 Chapter “Fantastisches Berlin. Die Entdeckung einer Neuen Metropole,” in August Endell 1871-1925: Architekt und Formkünstler, eds. Nicola Bröcker, Gisela Moeller, Christiane Salge (Berlin: Michael Imhof Verlag, 2012), 326-335; a collection of essays on the works of August Endell. Reviewed in Frankfurter Allgemeine Zeitung and Kunstchronik. 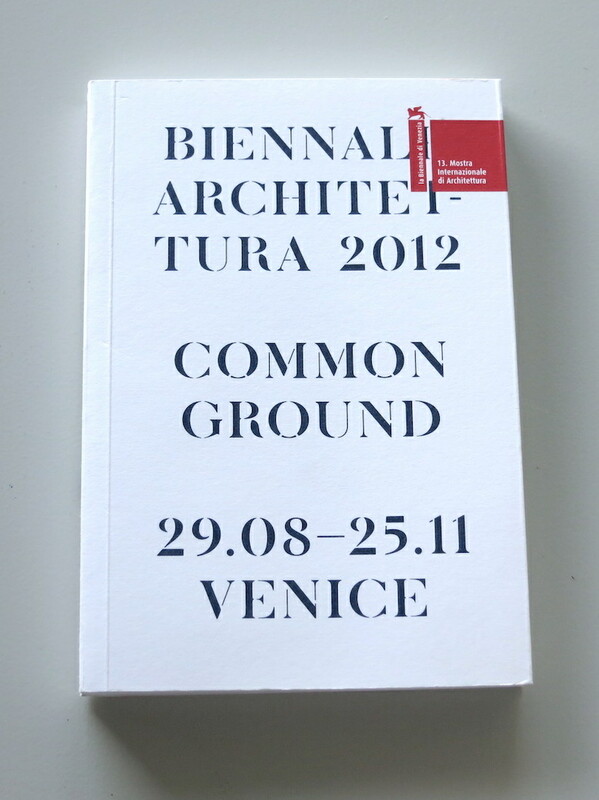 Designer and curator of City Works exhibition at the 13th International Architecture Biennale in Venice, Italy, August 27 – November 25, 2012. 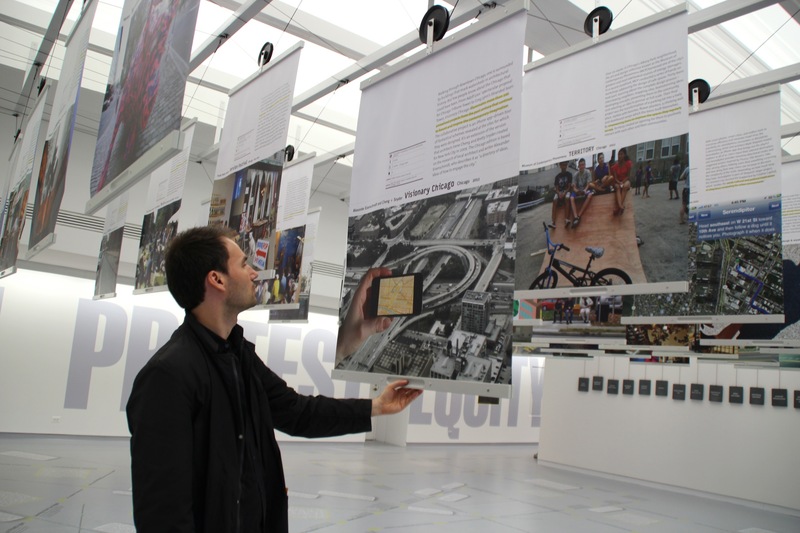 Designer and curator of Visionary City: Chicago’s Urban and Architectural Dreams exhibition at the Chicago Architecture Foundation, June 21, 2012 – May, 2013. 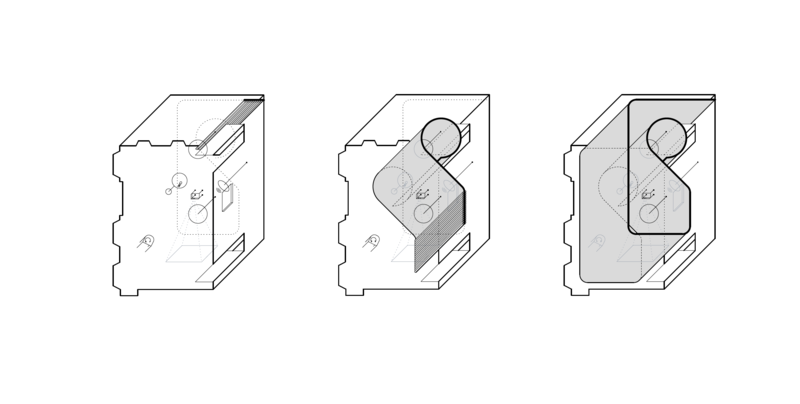 Design and implementation of a new format for reviews in architecture at the Journal of Architectural Education, 2012-2013. For the first time, the section is curated around themes rather than media. 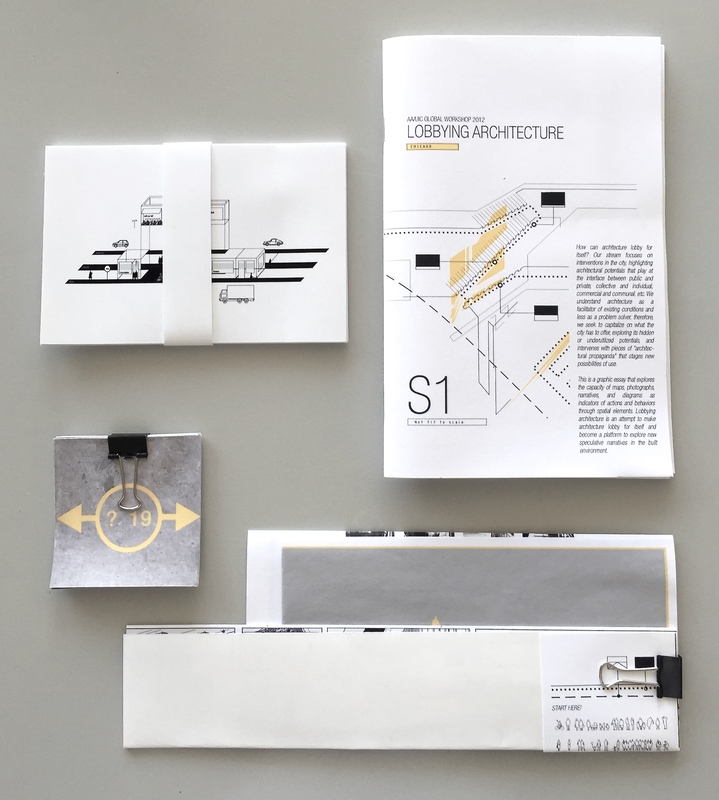 Review of The Liberal Monument: Urban Design and the Late Modern Project, by Alexander D’Hooghe, Journal of Architectural Education, #65:2 (May 2012): 143-145. 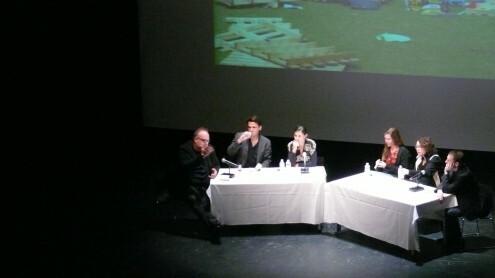 Keynote lecture at the Manufactured Landscapes conference, Chicago, May 19, 2012. “The Non-Concept City,” a discussion on urbanism with Edward Mitchell, including Robert Bruegmann, Ellen Grimes, Tim Mennel, Jonathan Miller, organized by New Projects, Chicago, March 13, 2012. 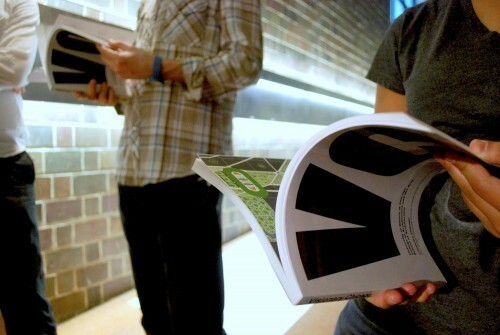 The exchange was published in the Journal of Architectural Education #66.1, October 2012. Public lecture at The Arts Club of Chicago, Chicago, February 7, 2012. 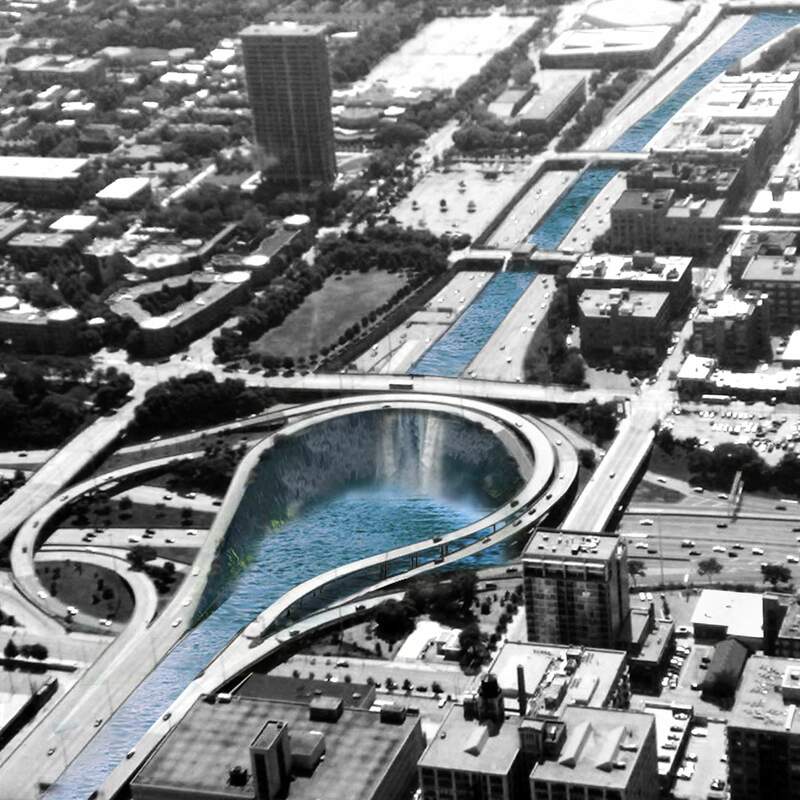 Chicago’s visionary unbuilt projects have proved to be of particular importance for the architectural discourse as a whole. The lecture, therefore, investigates some of the most spectacular proposals and asks what makes the city tick as a laboratory of ideas. essay _ THE CITY IS DEAD, LONG LIVE THE CITY! 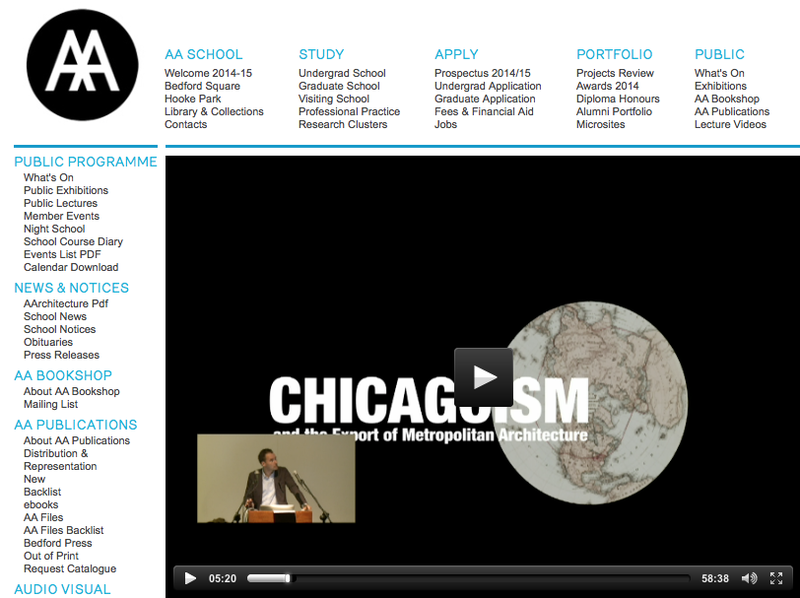 Public lecture at the Chicago Architecture Foundation, Chicago, November 2, 2011. Invited speaker at Symposium on Architectural and Urban History at the University of Illinois at Chicago (organized by Robert Bruegmann), October 28, 2011. Public lecture for the official evening lecture series at the School of Architecture, University of Texas at Arlington, October 12, 2011. 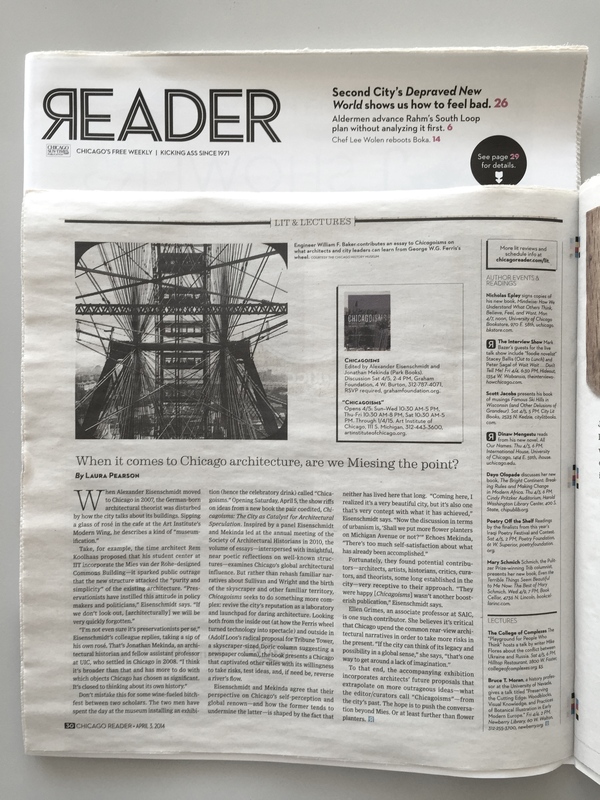 Architect’s Newspaper and Chicago Plus review exhibition of Visionary Chicago and calling it “stimulating and provocative;” mounted at UIC’s Ramp Gallery, May – September, 2011. 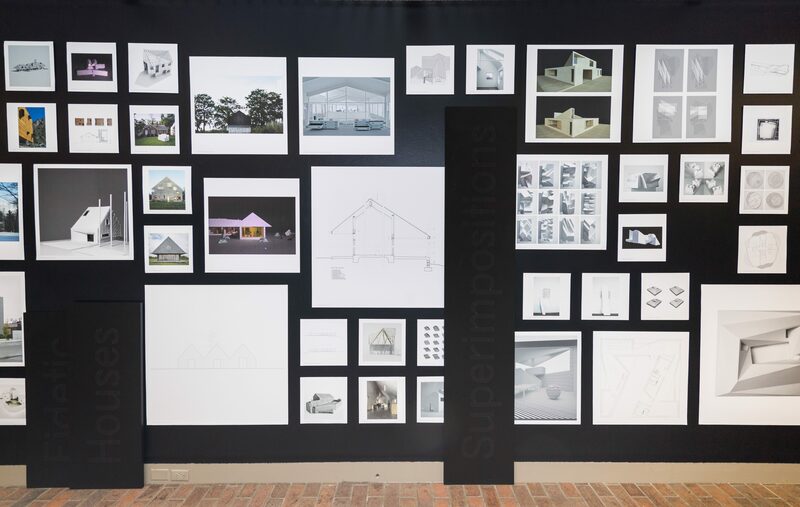 Developed as part of the theory course “Architectural Visions of the City,” the exhibition recorded, compared, analyzed, and extrapolated Chicago’s architectural dreams and nightmares (UIC Architecture Ramp Gallery, April 28 – Sep 2, 2011). 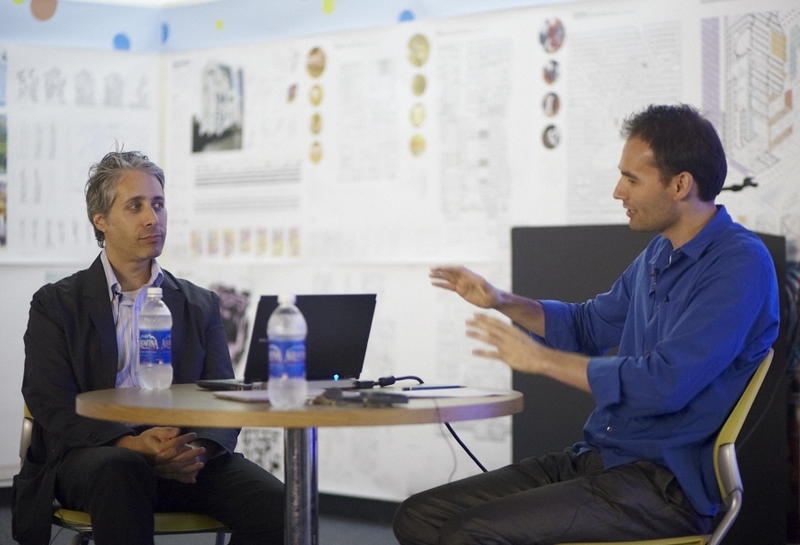 Public lecture hosted by the Center for Architecture in Philadelphia, April 15, 2011. Lecture at Between Experience and Representation: Cities in an Area of Tension, international conference, Radboud University of Nijmegen, Holland, March 10, 2011 (presented in absence). 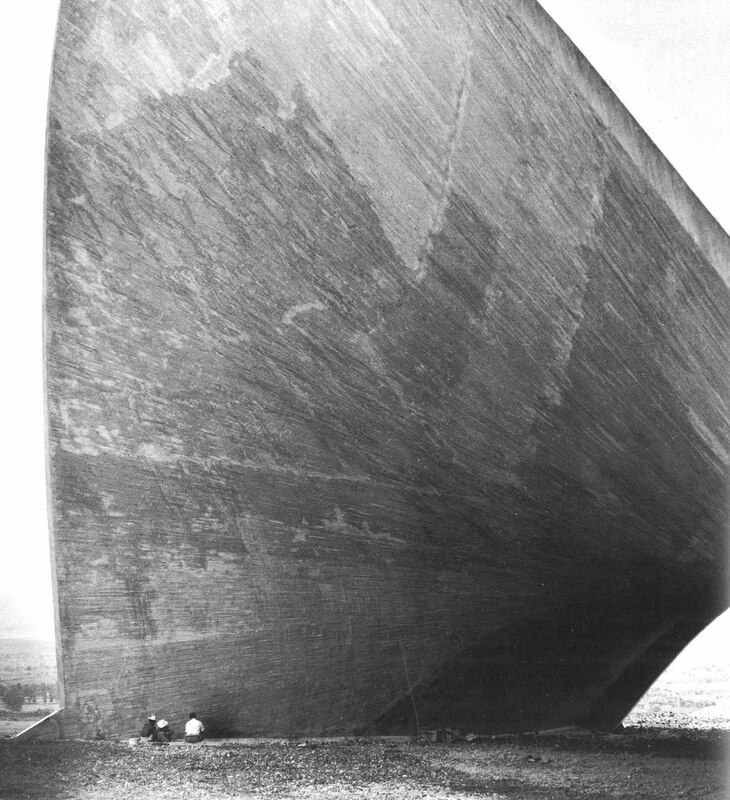 Lecture, “Theorien der Raumanschauung und die Entstehung einer neuen Metropole,” was cited in Matthias Schirren’s article “Freiheit und Ordnung: Der Philharmonie Osteingang,” in Scharoun, exhibition catalog, 2011. Invited Round table participant at Northwestern University, Chicago, December 3, 2010 (other participants: Barry Bergdoll, Andreas Beyer, Neil Levine, Martin Bressani, Robert Bruegmann, and Harry Mallgrave; organized by David Van Zanten). Panel chair at the ACSA West Central Fall Conference Flip your Field, University of Illinois at Chicago, October 21-23, 2010 (speakers included Michael Chen and Jason Lee, Daniela Fabricius, Jesse Le Cavalier, and Neyran Turan). Speaker at the Once Upon a Place – International Conference on Architecture and Fiction, on the occasion of the Lisbon Triennial of Architecture, Lisbon, Portugal, October 12, 2010. 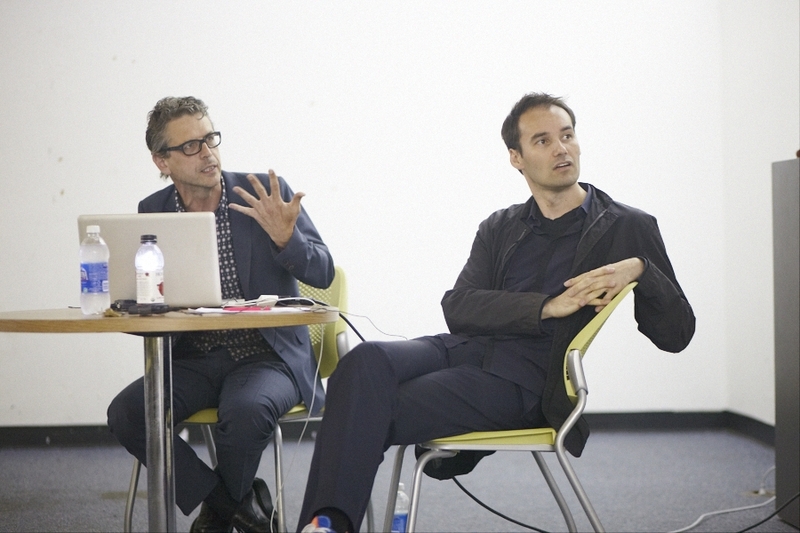 Invited speaker at the University of Hawaii at Manoa, lecture on the work of Studio Offshore, July 7, 2009. 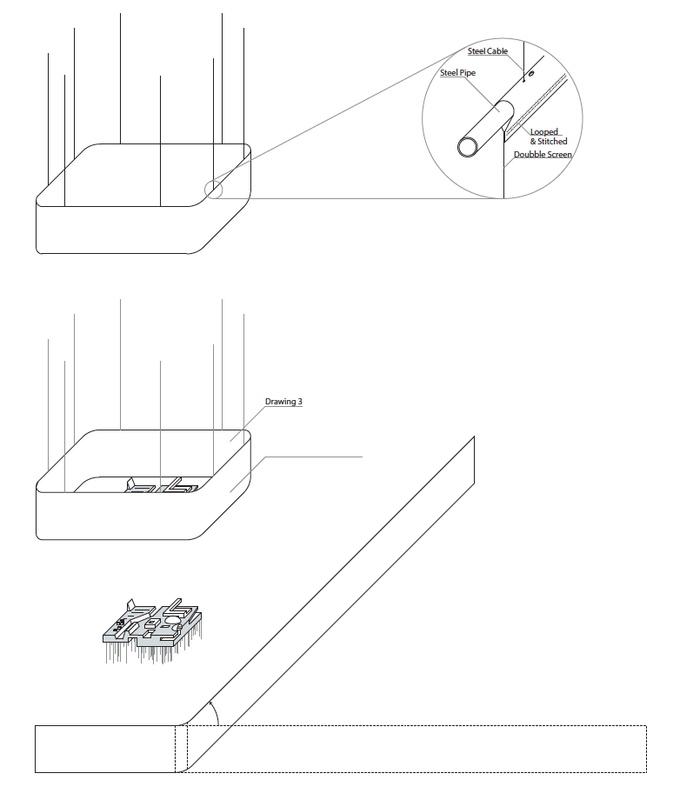 The Formless Metropolis and Its Potent Negativity, University of Pennsylvania, School of Design, Dissertation, 2008. Lecture at the SAH Annual Meeting (panel: The Limits of Community), Cincinnati, OH, April 24, 2008. 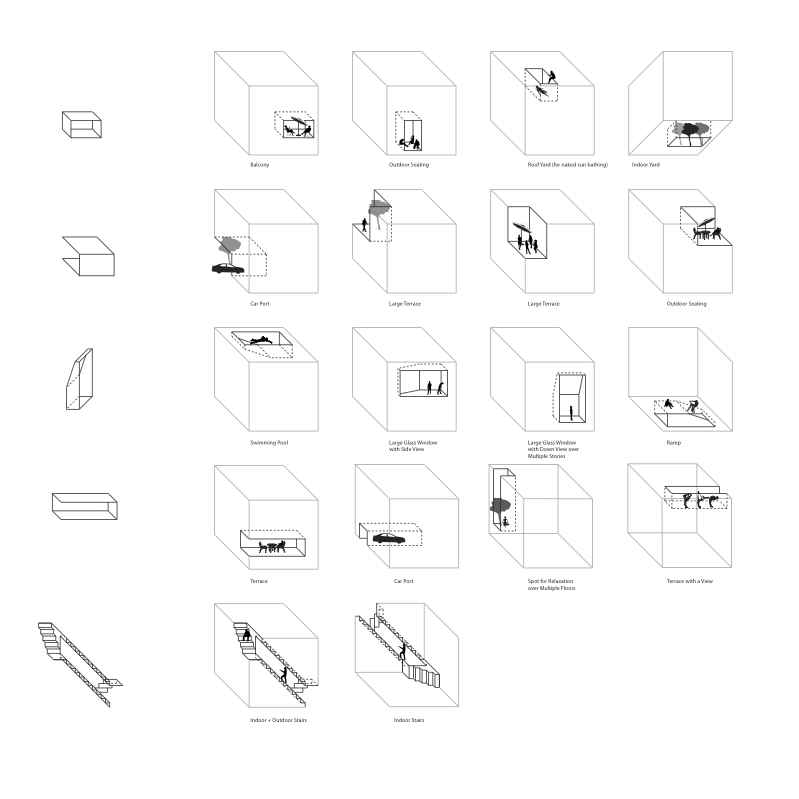 Essay “Visual Discoveries of an Urban Wanderer: August Endell’s Perception of a Beautiful Metropolis,” Arq: Architectural Research Quarterly, #11:1 (March 2007): 71-80. 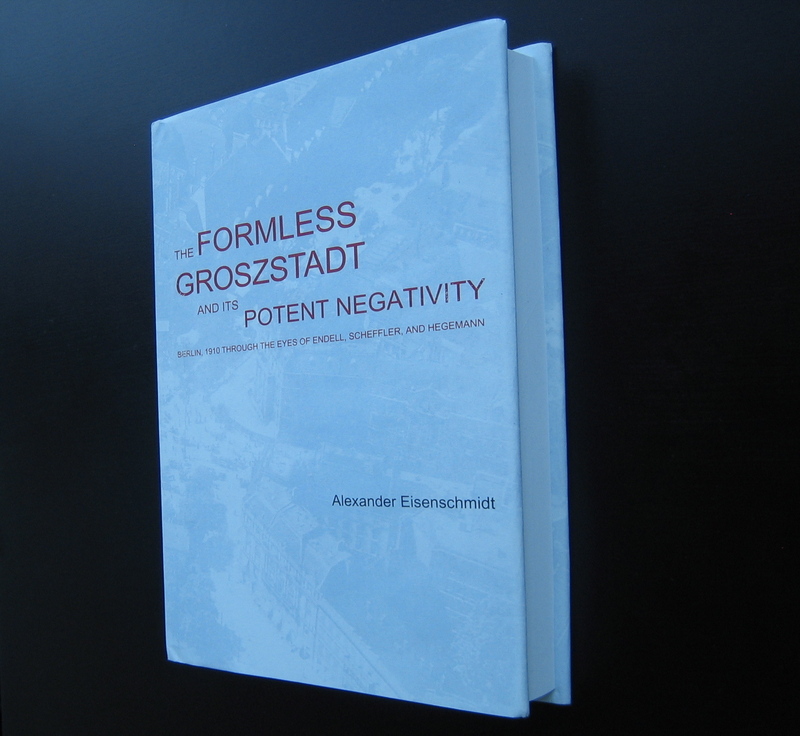 The dissertation, The Formless Metropolis and Its Potent Negativity, was awarded the Graham Foundation Carter Manny Award Trustees’ Merit Citation, 2006. 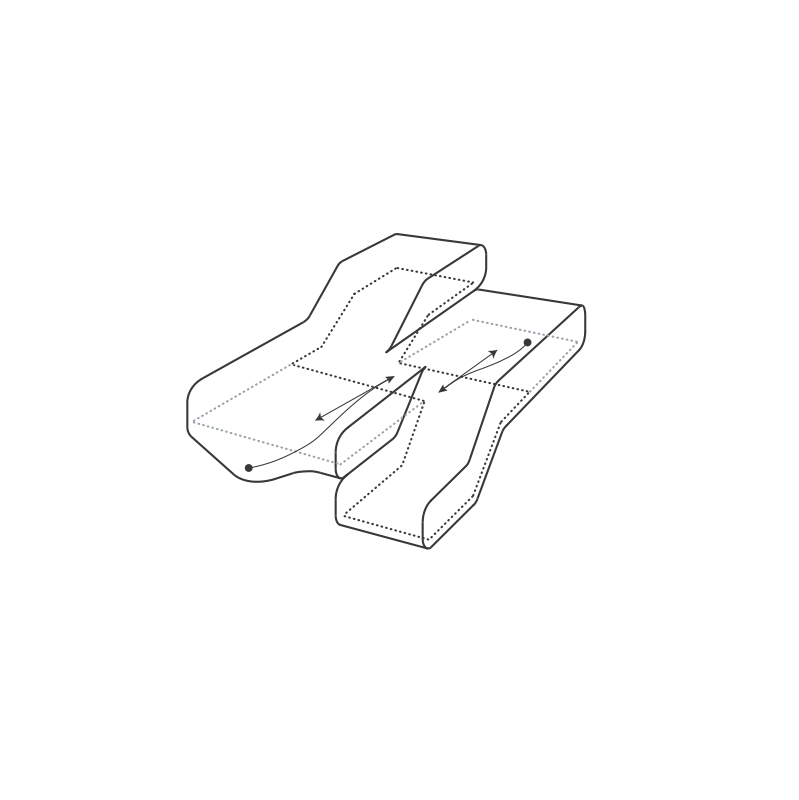 Studio Offshore began its collaborative practice in 2006. 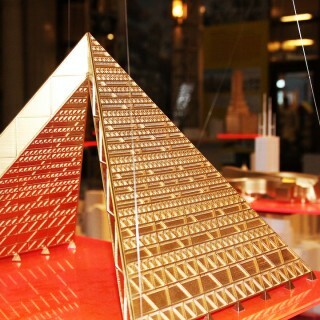 For more information about design projects visit www.studio-offshore.com. Introduction “Ein Dorf, Ein Ort, Eine Landschaft,” to Ralf Schuhmann’s exhibition catalog Endstation Etzweiler (Bonn: Offener Atelier Katalog, 2004).